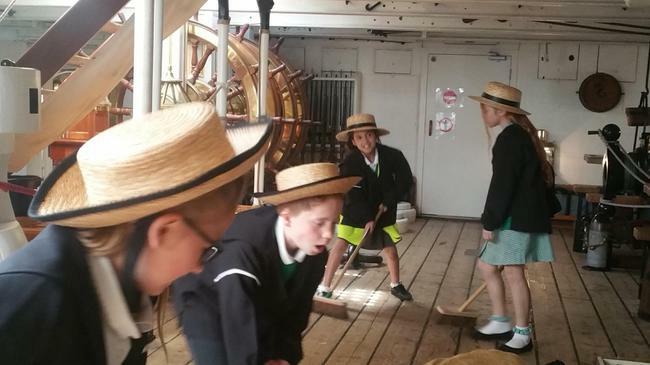 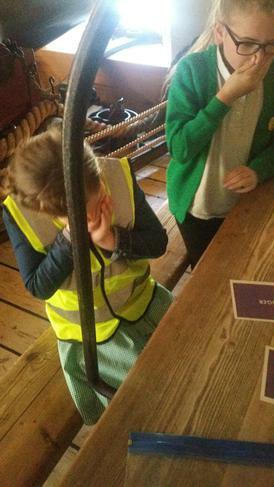 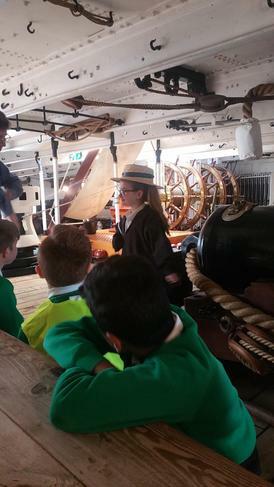 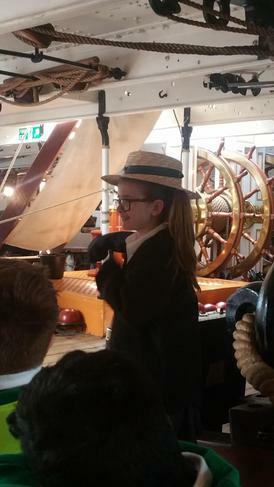 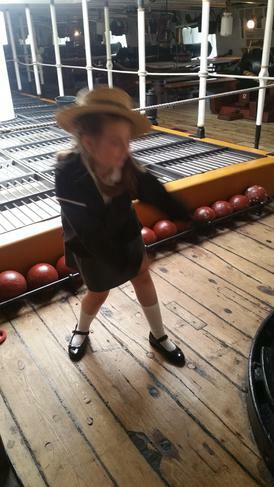 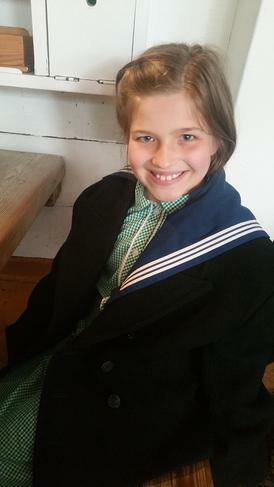 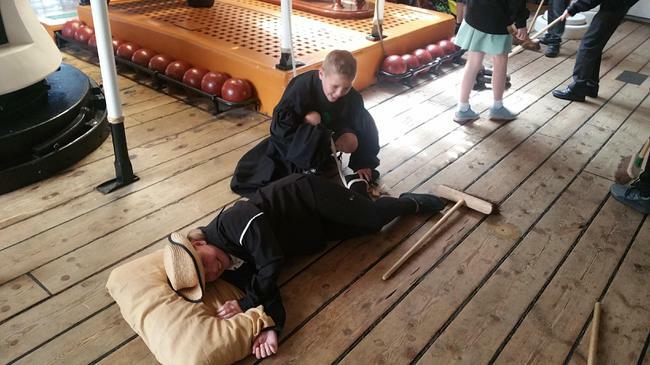 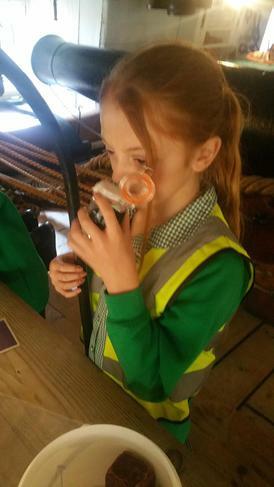 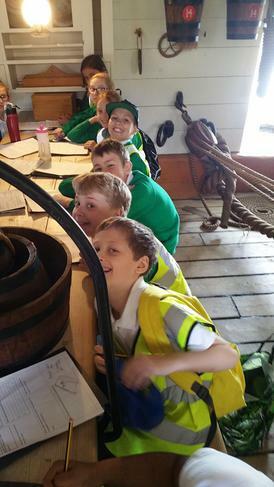 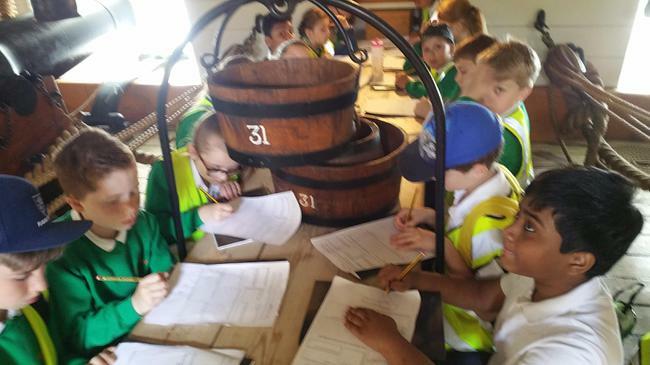 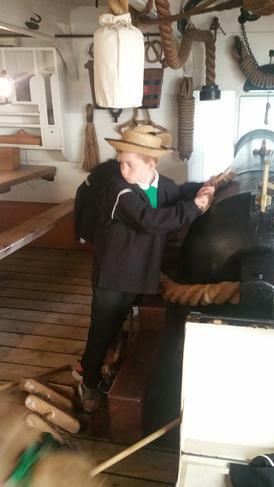 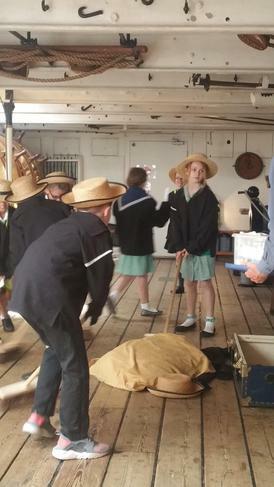 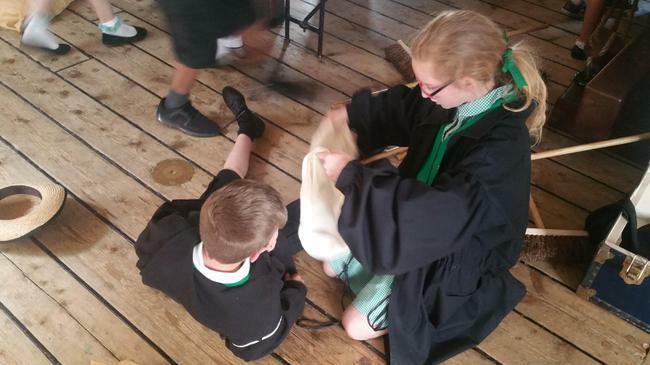 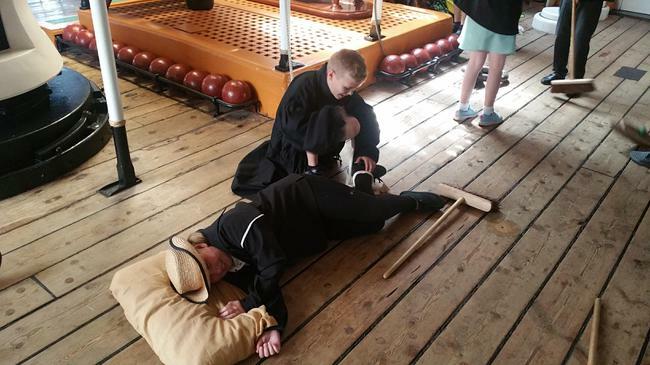 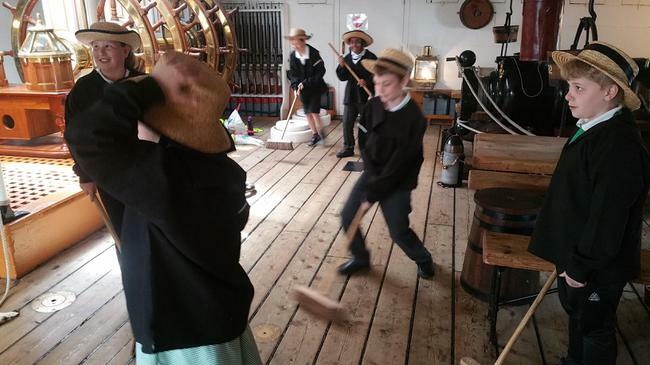 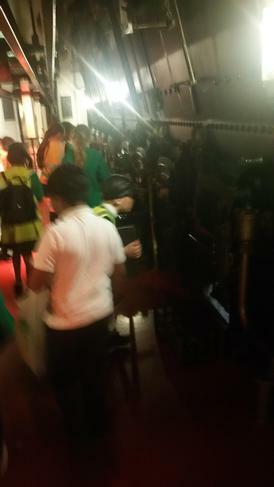 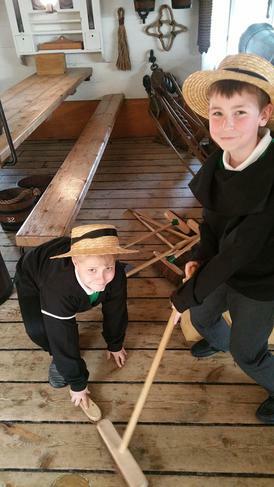 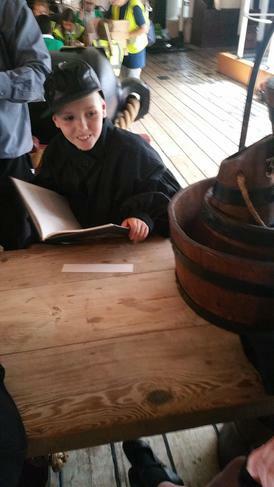 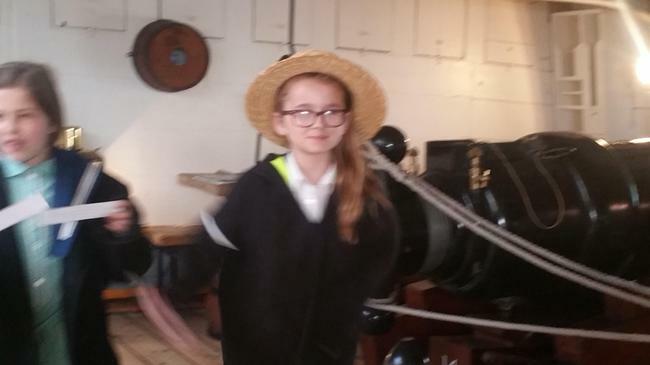 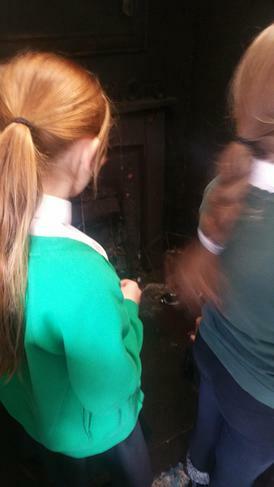 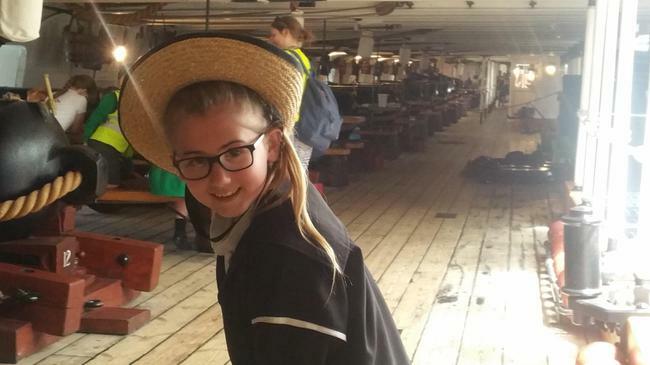 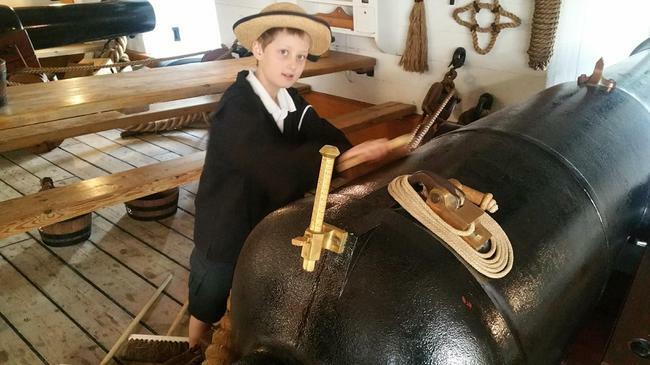 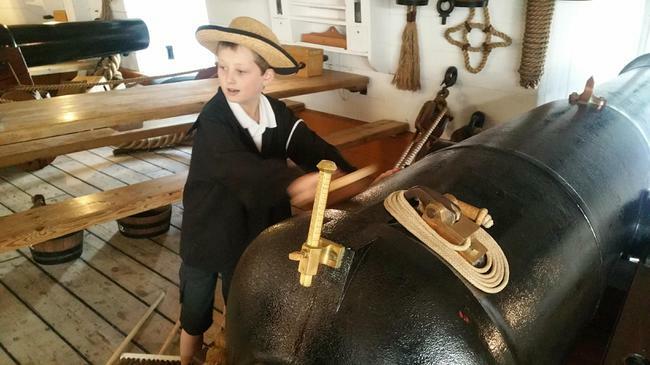 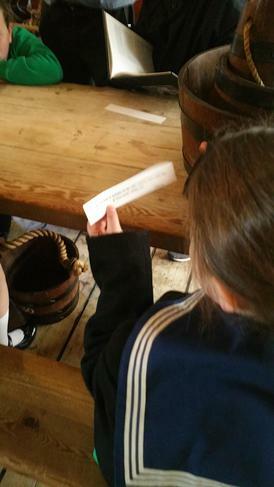 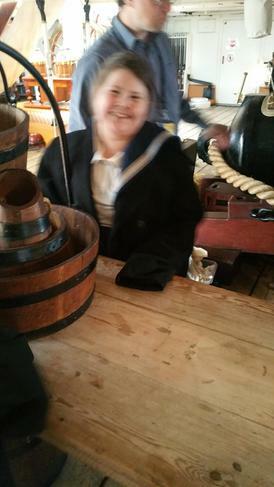 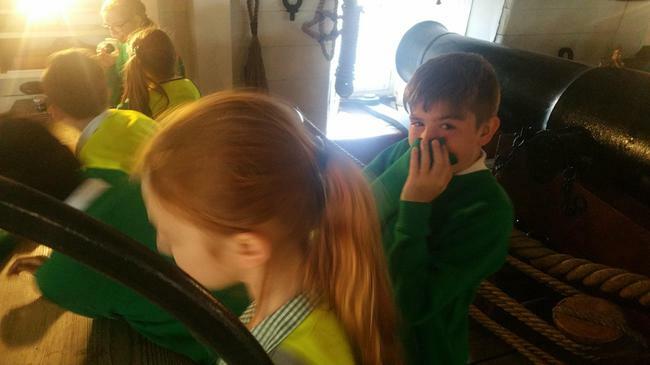 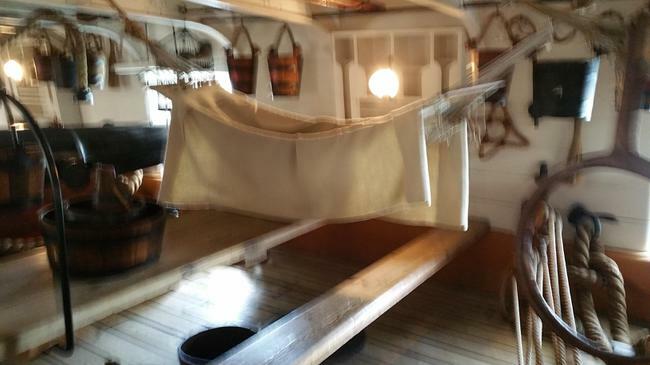 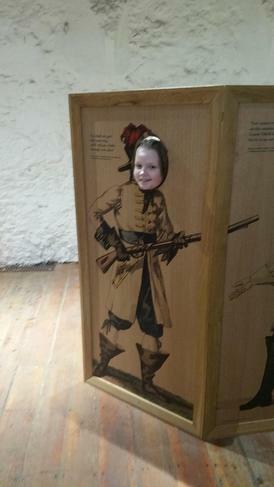 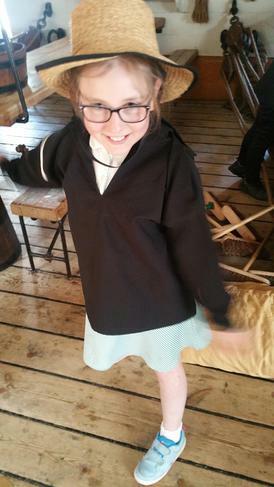 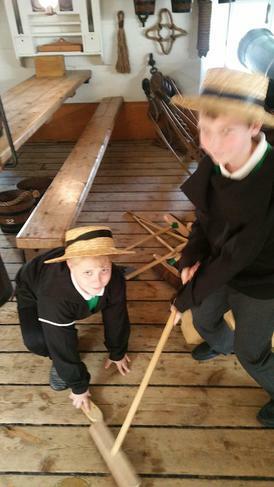 On Wednesday, Year 5 visited HMS Warrior. 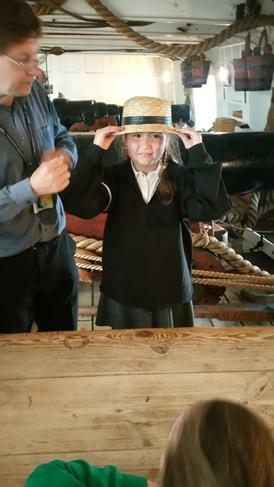 This was to help us answer our historical enquiry question - Was HMS Warrior an effective warship for Queen Victoria? 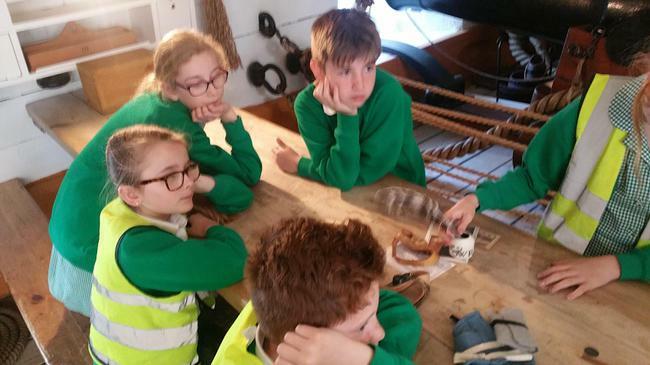 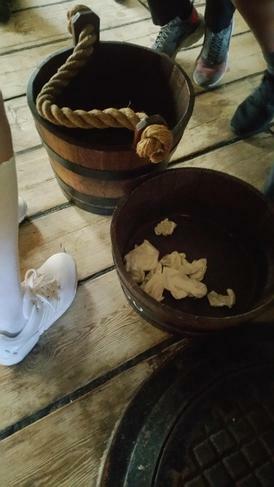 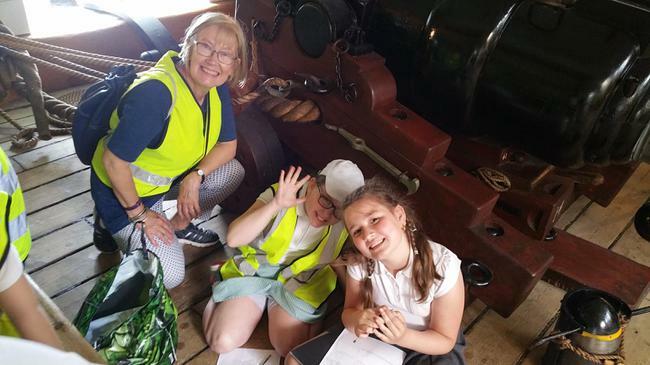 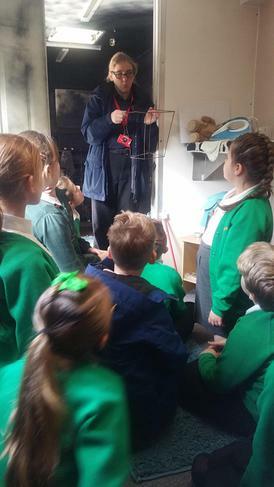 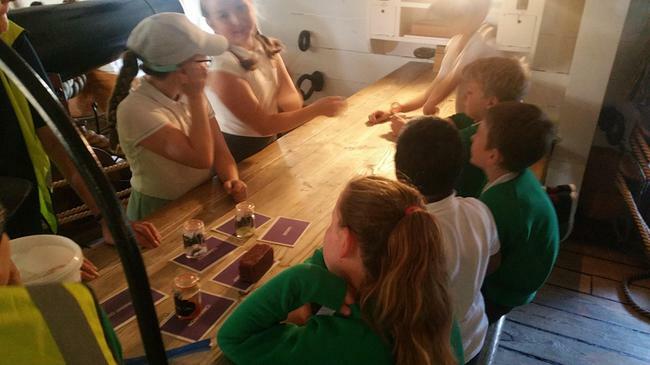 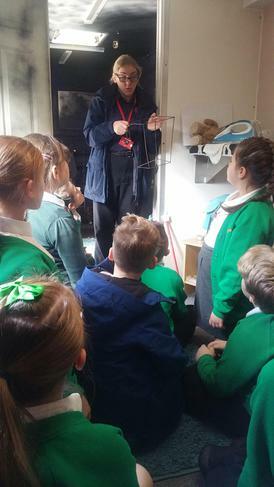 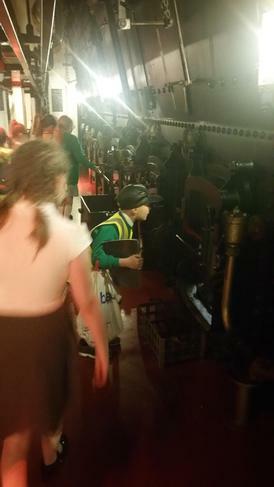 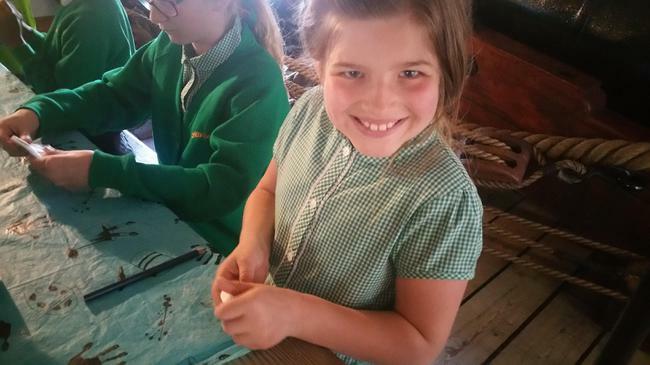 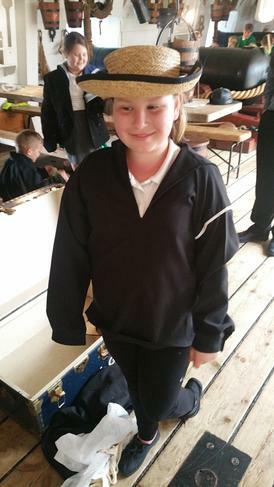 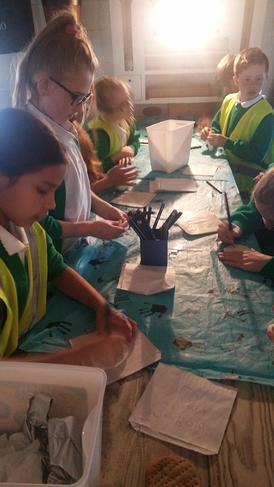 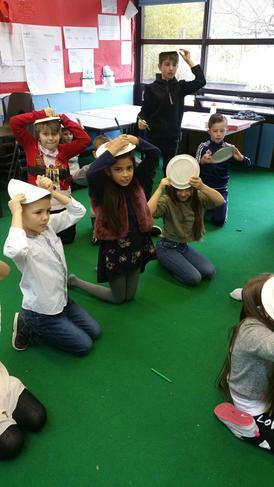 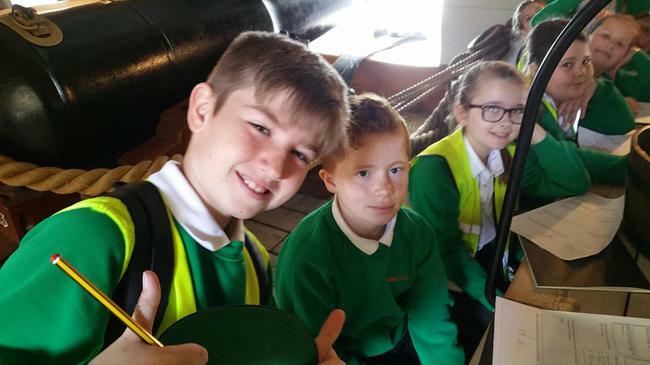 The pupils enjoyed learning about life on board the boat in their workshop and relished the historic atmosphere of the boat. 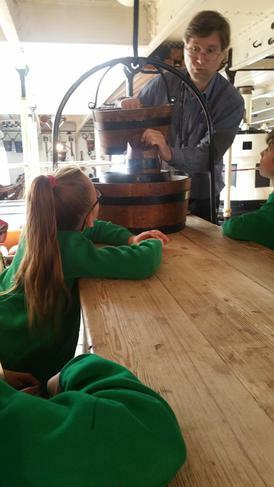 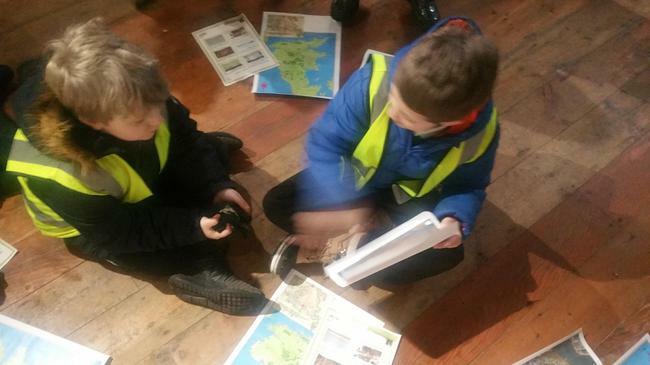 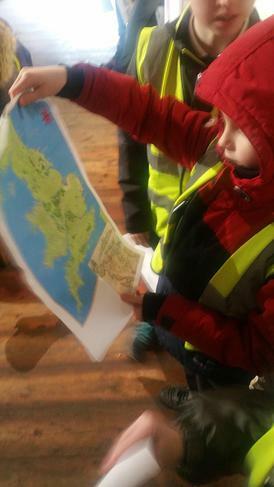 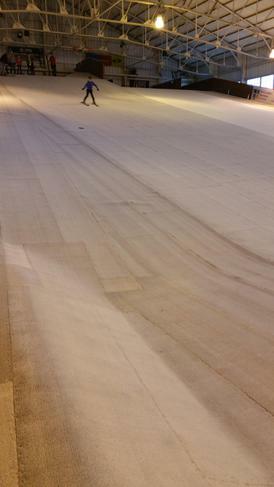 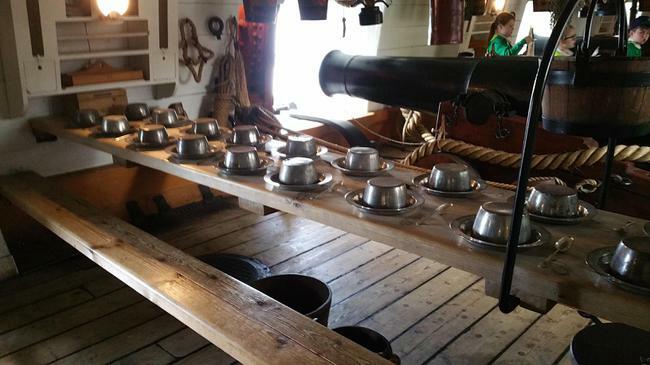 Our next task is to create a audio guide for child visitors for the ship - what would interest them about the ship? 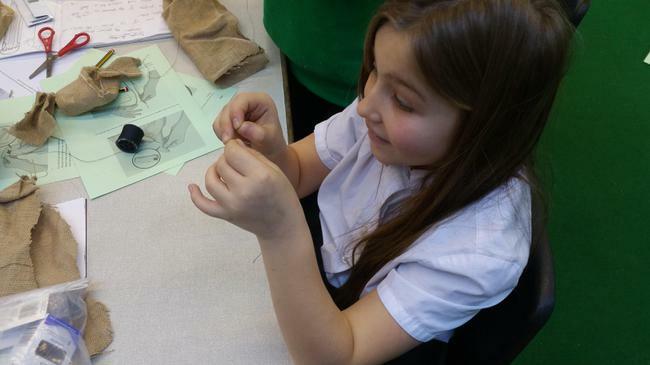 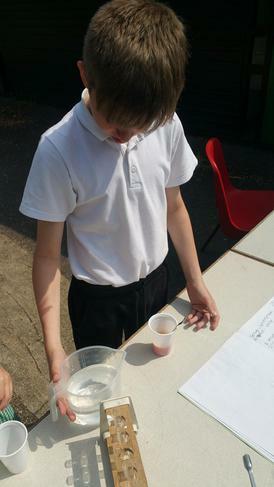 This week in science, spiders have been looking at mixing new substances, irreversible and reversible changes. 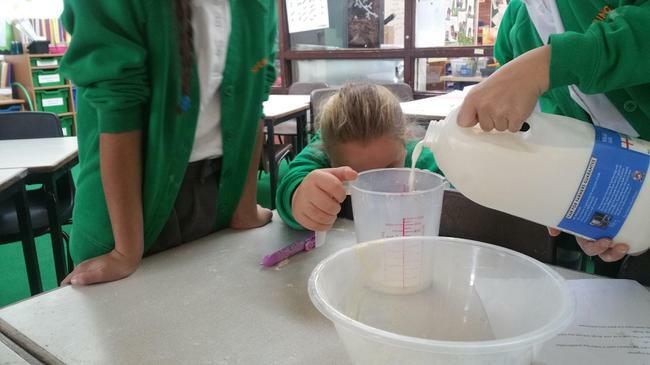 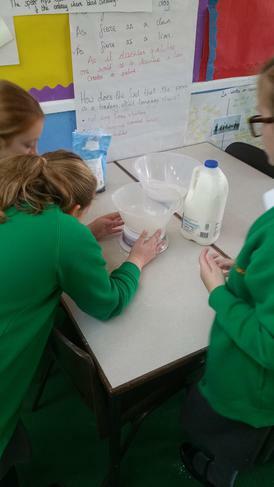 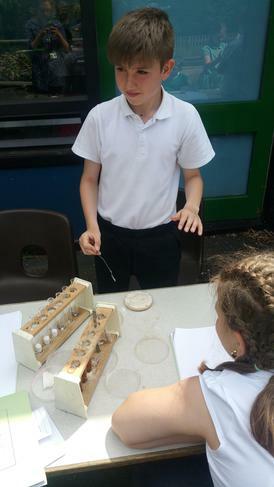 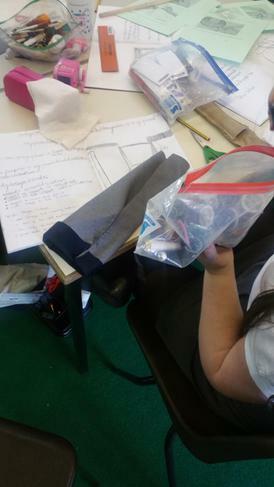 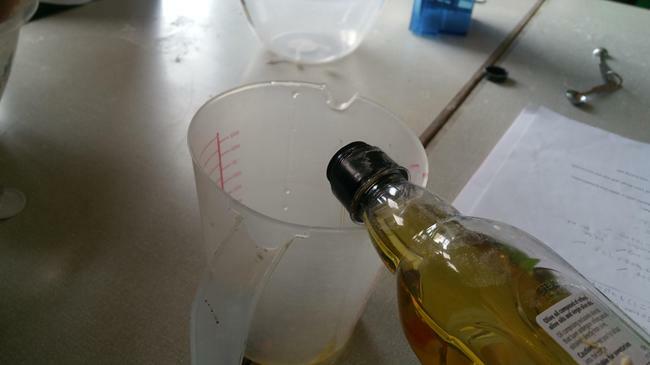 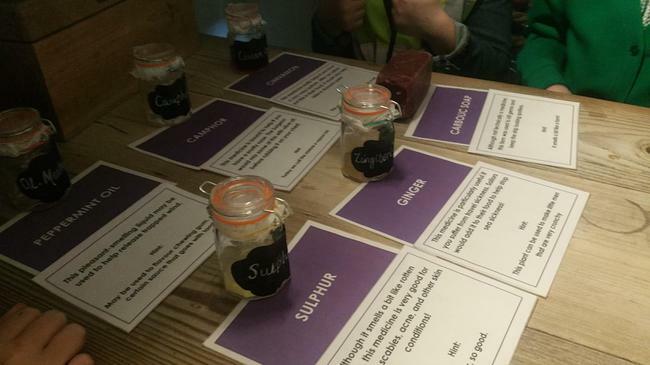 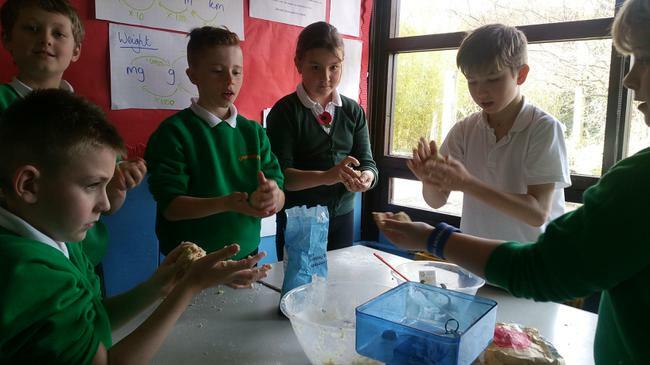 They did practical experiments to work out if they created a new substances by mixing two substances together and then if they could reverse the change. 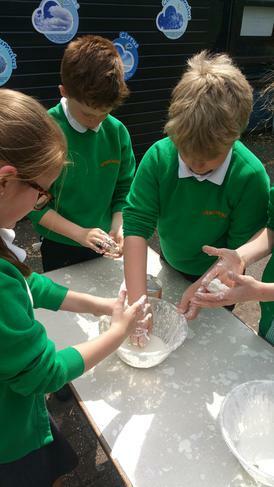 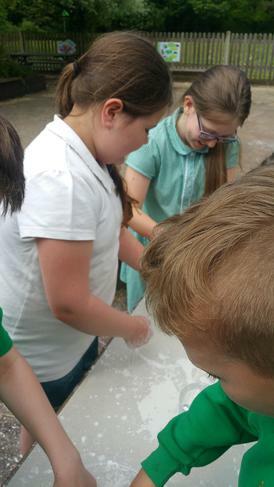 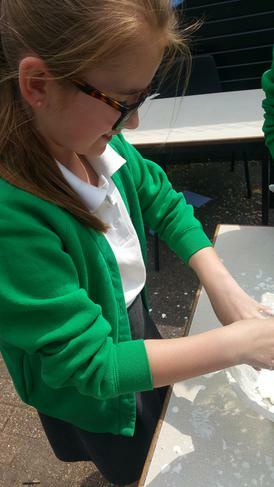 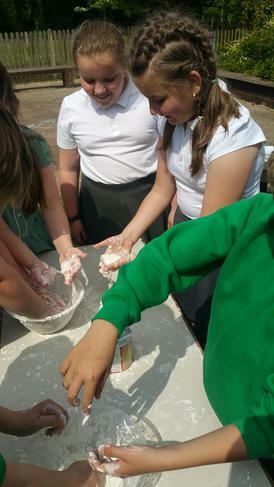 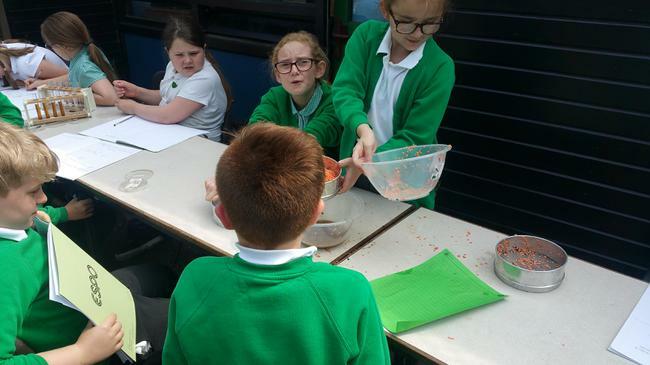 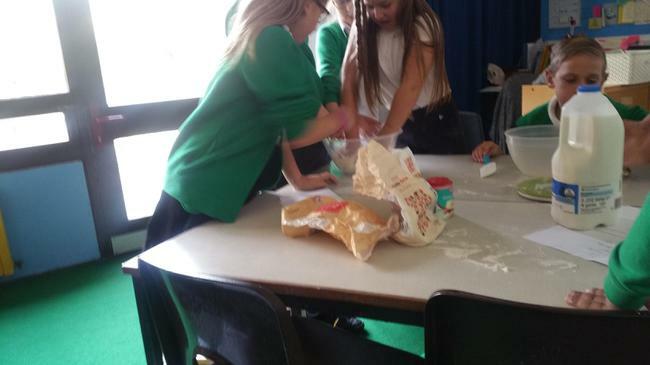 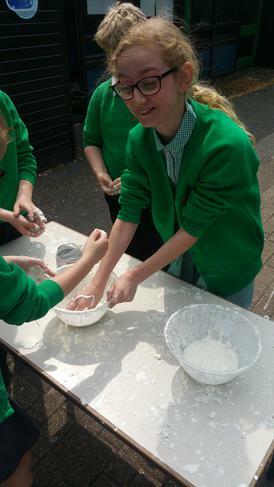 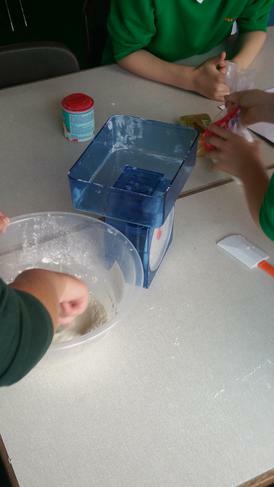 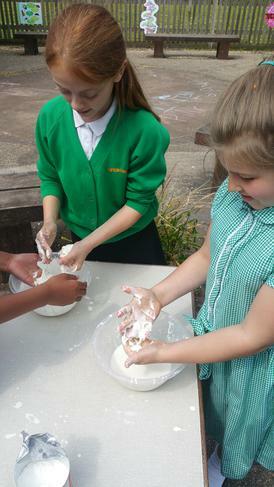 The non-Newtonian fluid, cornflour and water, was a messy favourite. 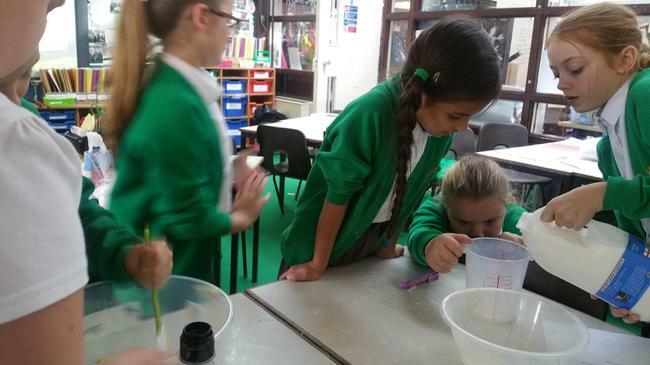 Is it a solid that acts like a liquid or is a liquid which acts a solid? 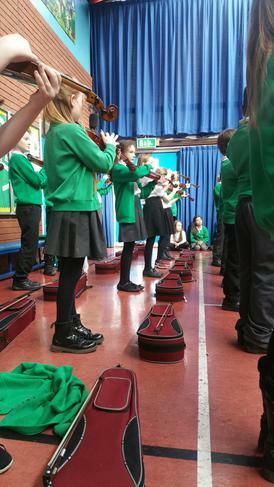 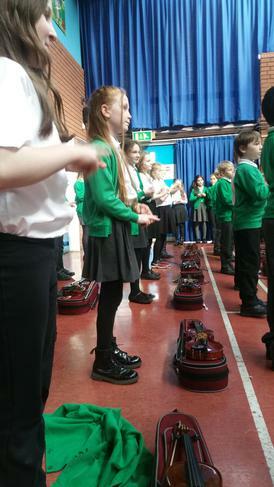 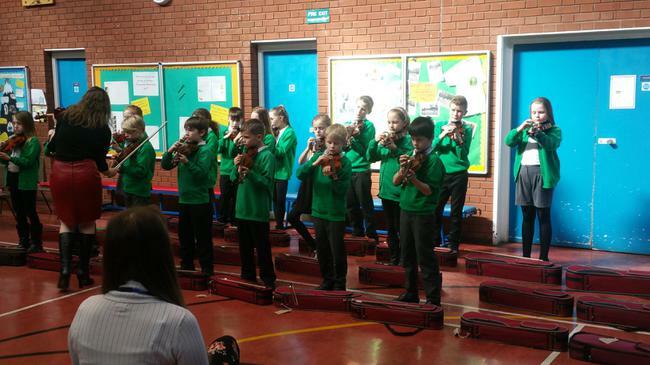 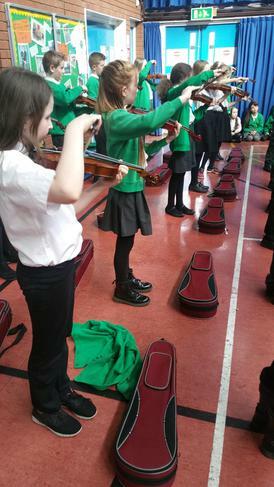 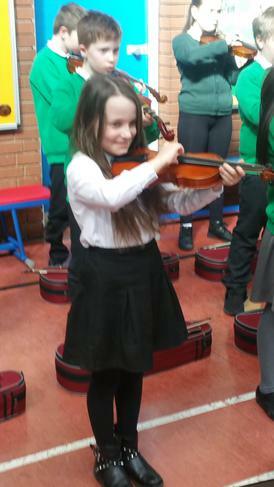 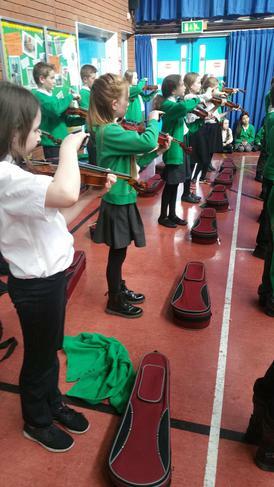 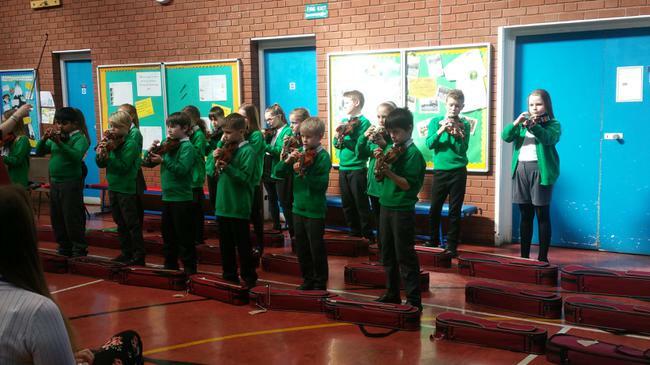 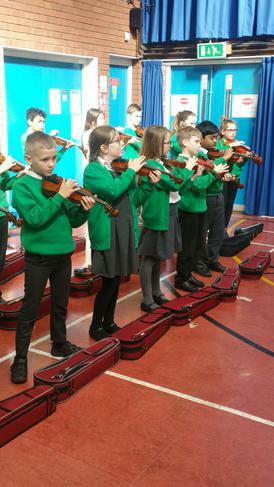 Thank you to all the parents who came to watch Year 5 perform their violin pieces after weeks of hard work. 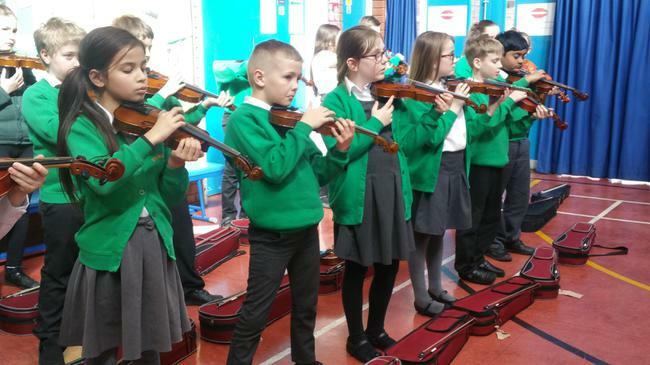 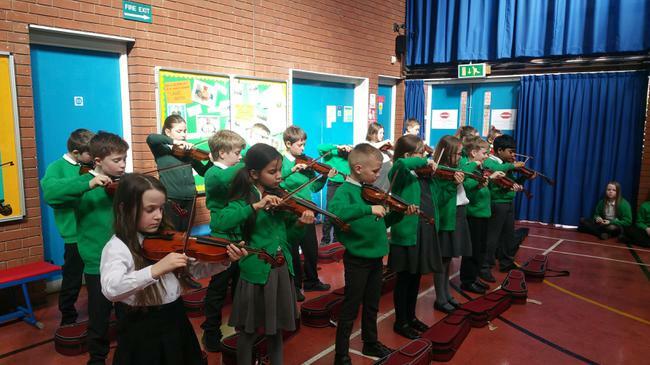 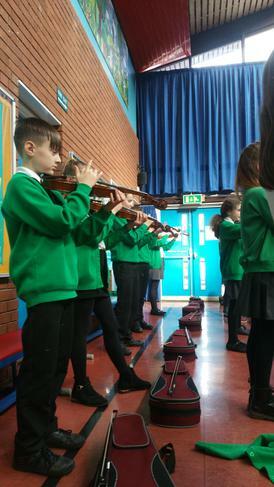 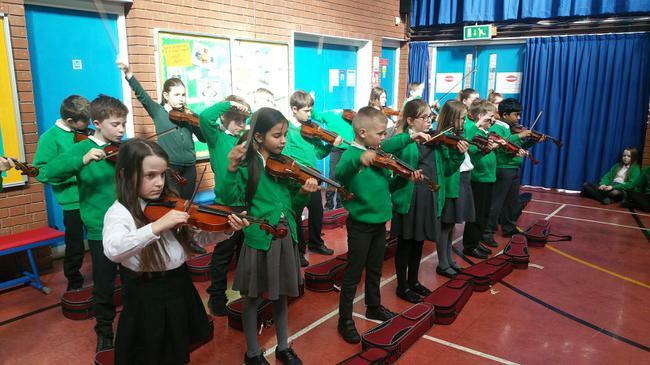 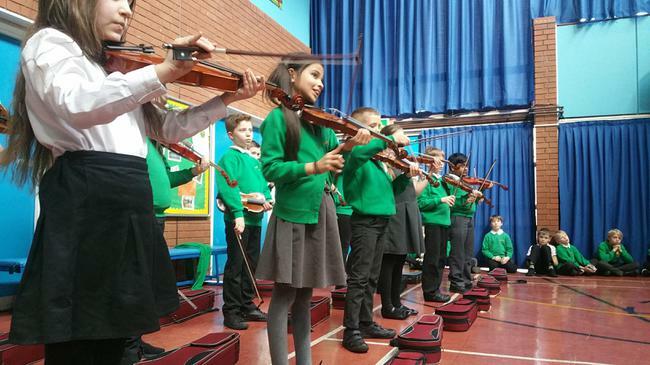 The violin is an incredibly hard instrument to master, and they did themselves proud playing their compositions with skill, accuracy and only some slight nerves. 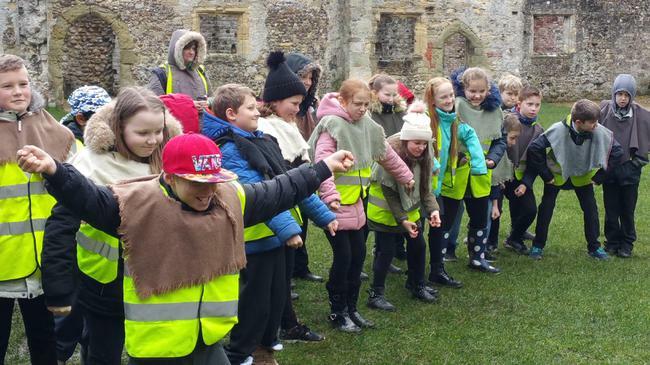 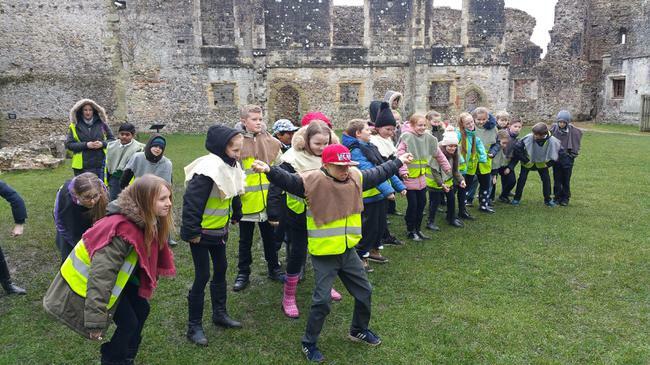 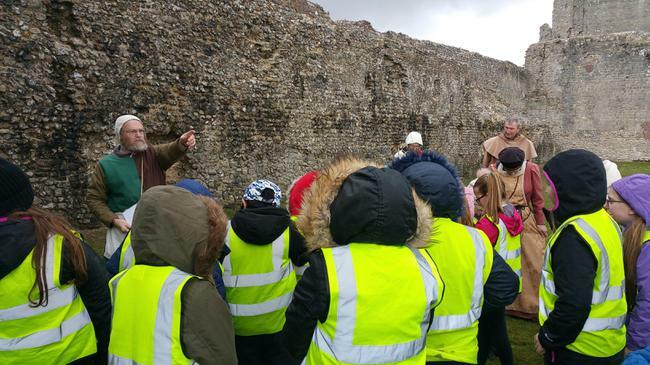 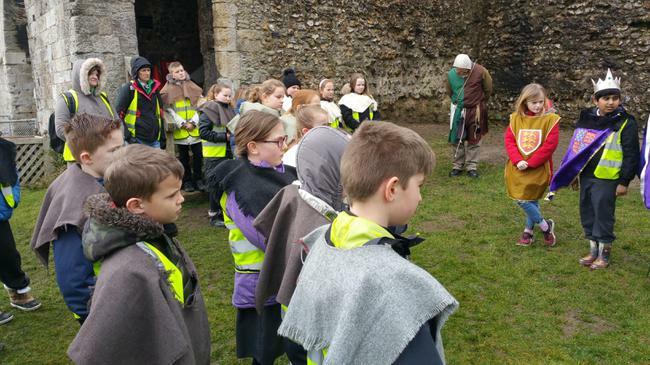 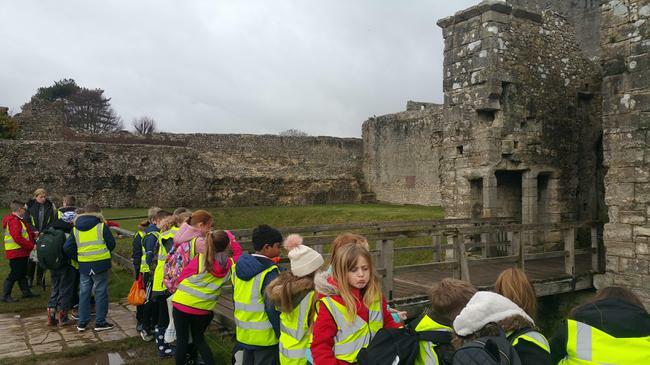 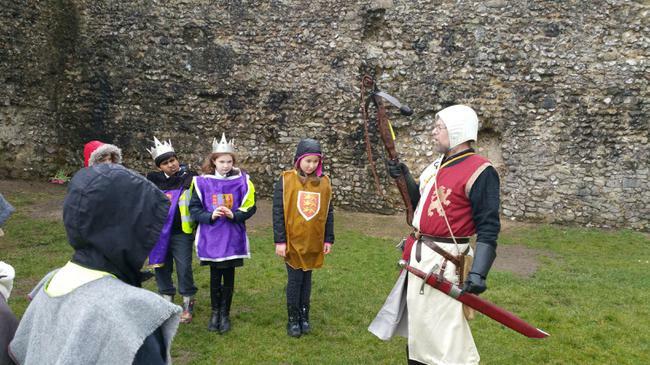 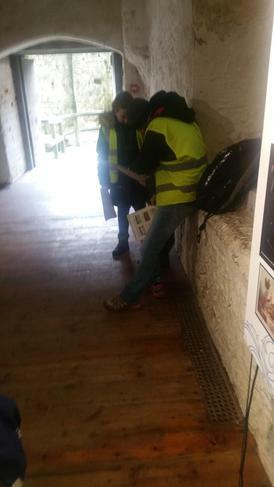 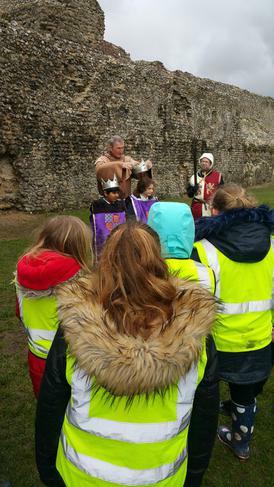 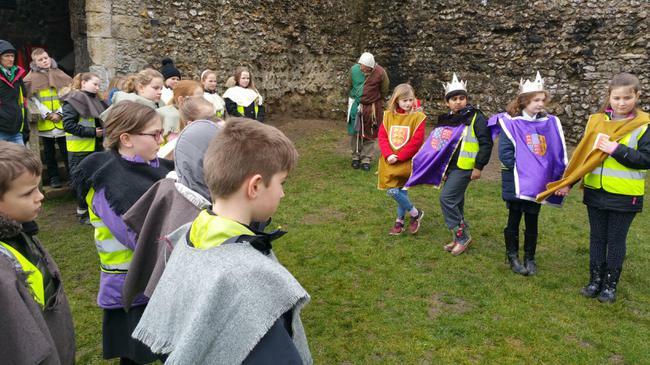 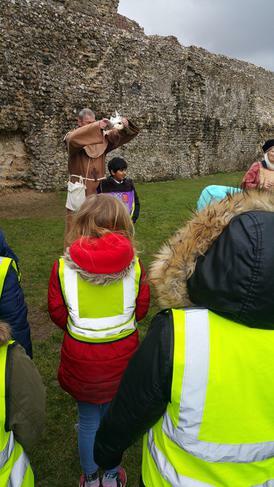 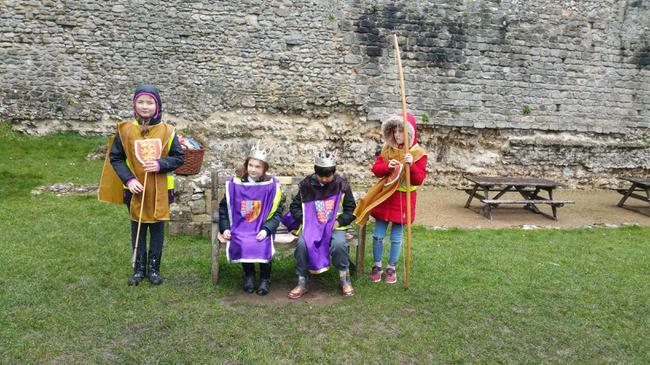 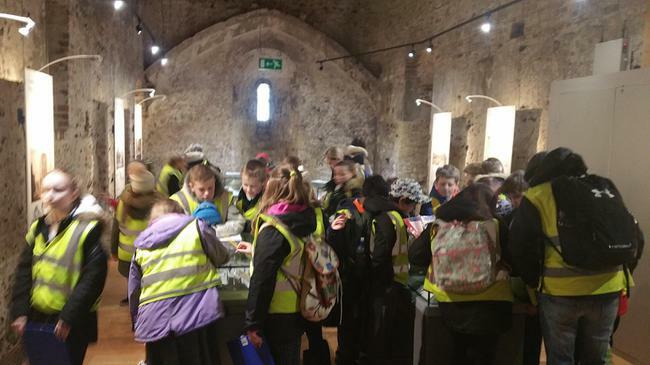 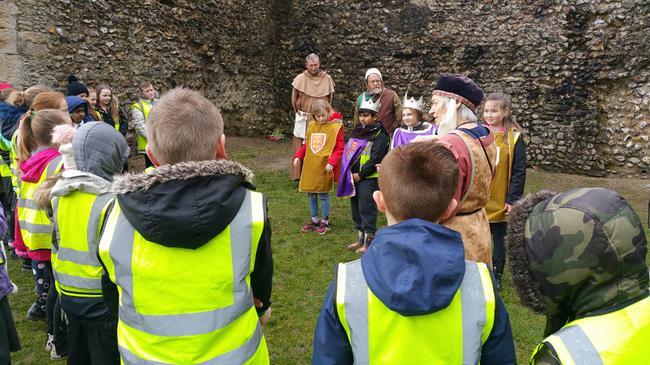 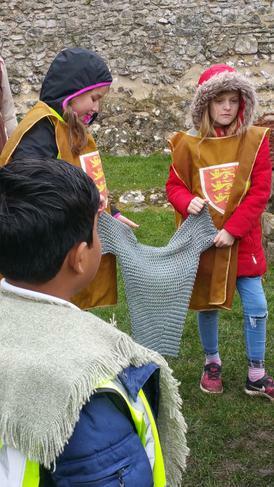 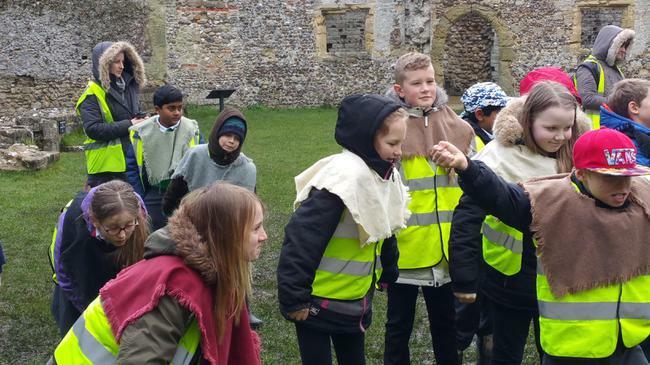 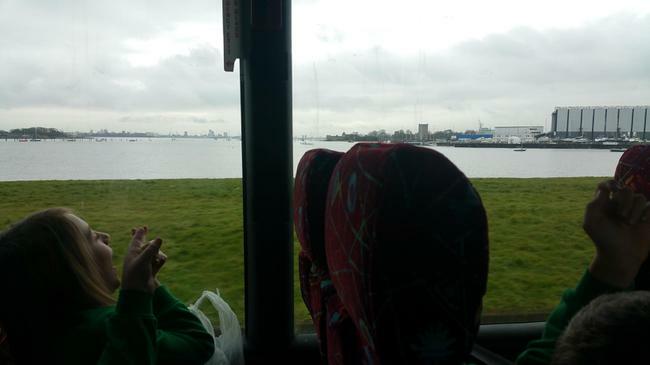 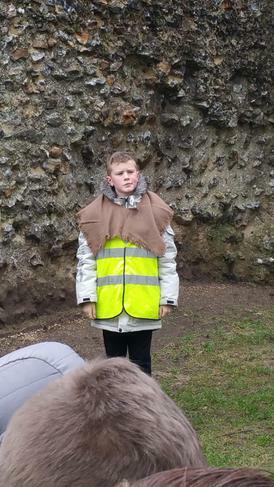 Despite the overcast skies, knowledge was shining bright on our enrichment trip to Portchester Castle. 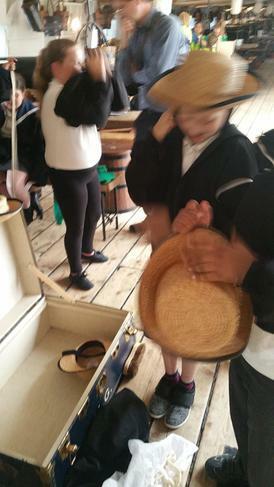 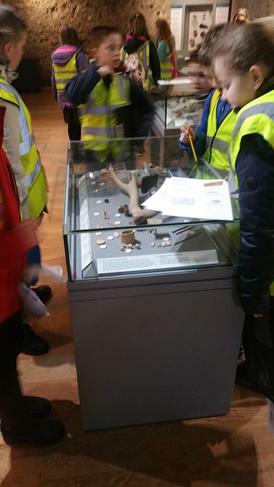 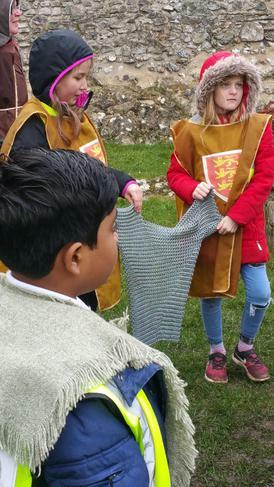 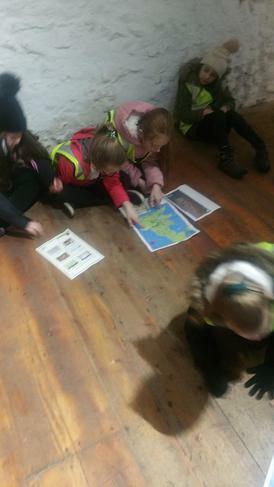 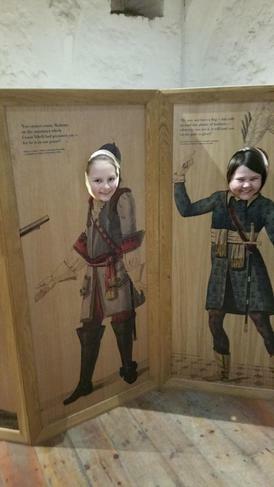 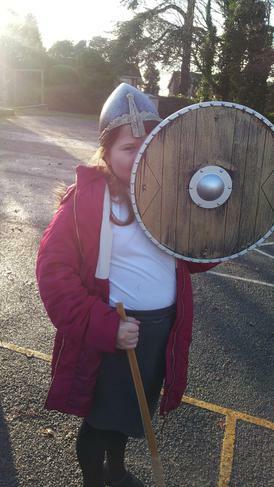 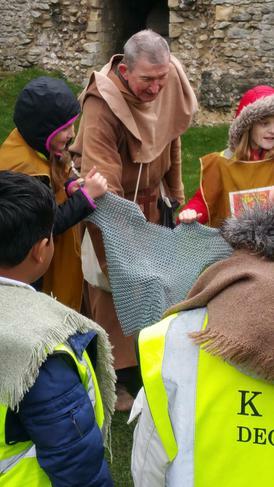 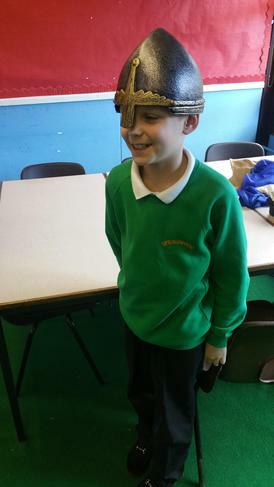 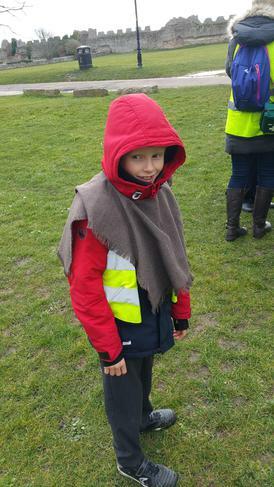 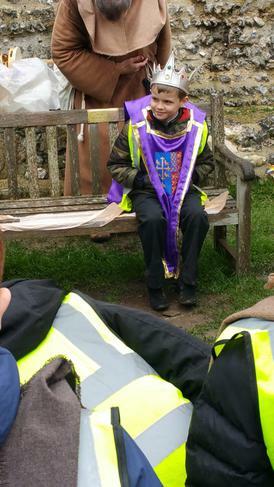 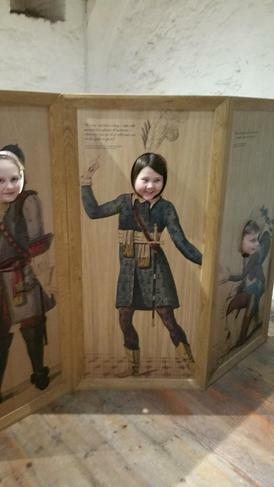 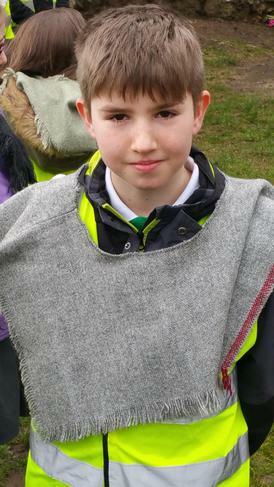 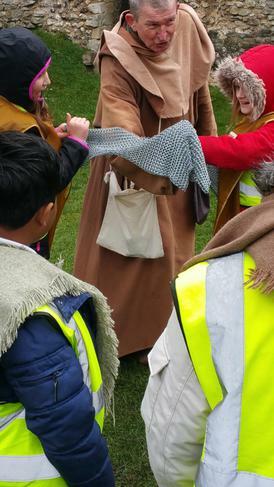 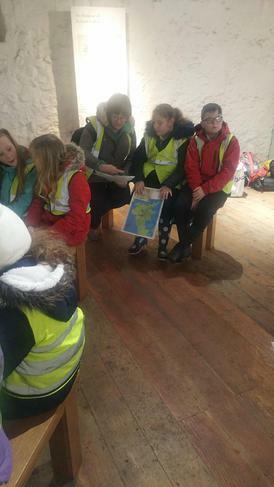 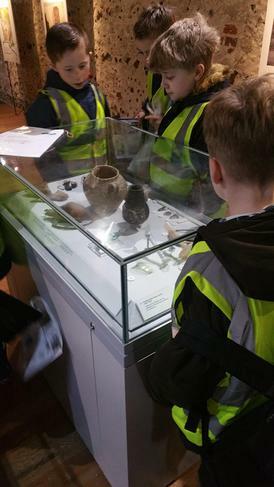 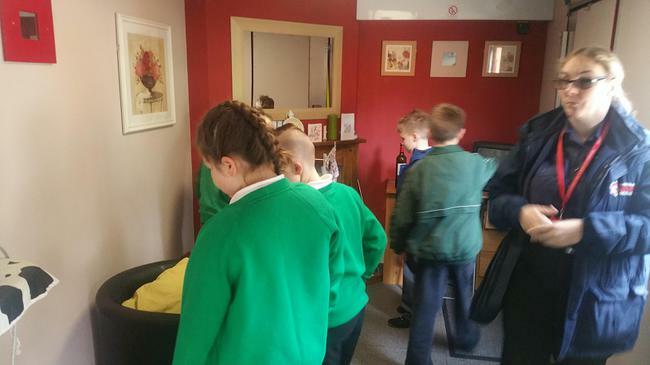 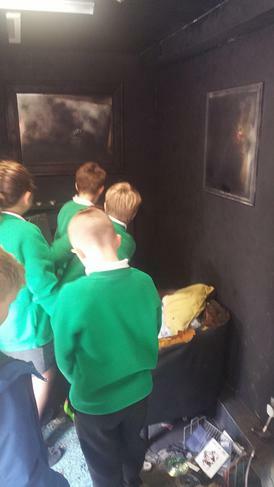 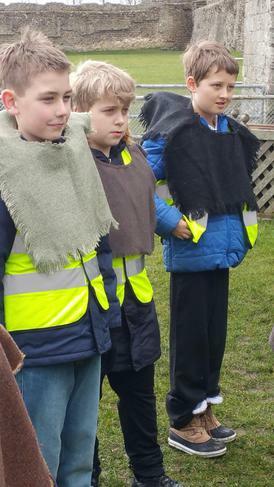 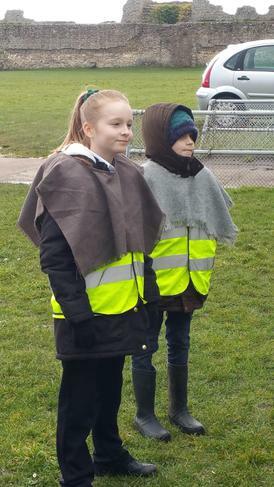 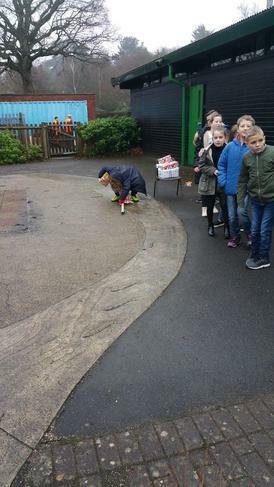 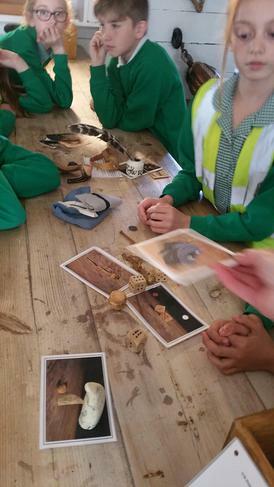 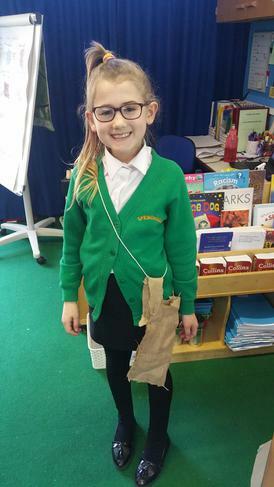 The children enjoyed learning about life as a Norman and what conditions would have been like for someone their age. 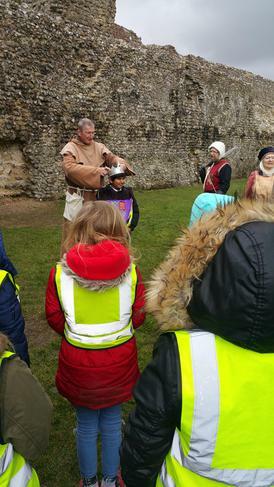 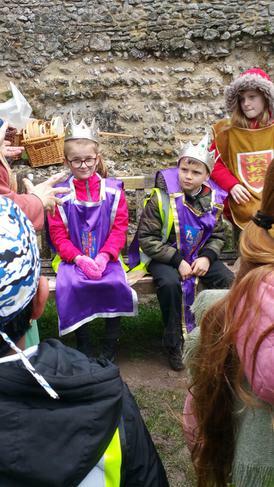 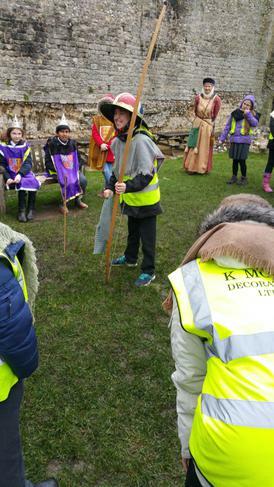 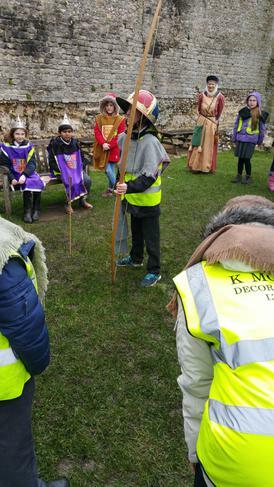 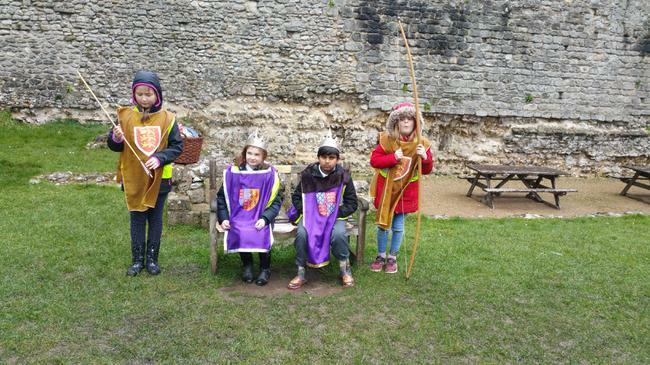 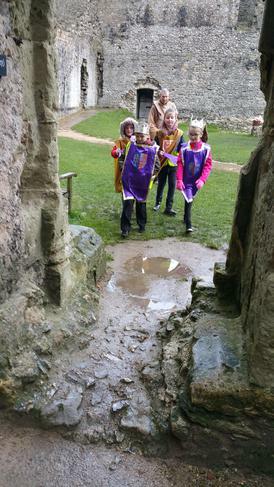 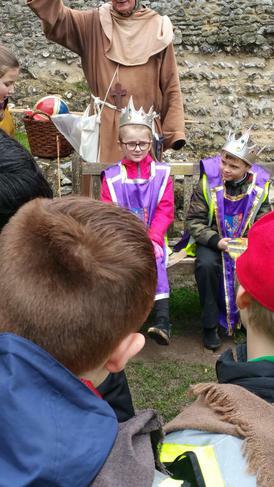 We then had a very informative tour of the castle from some historical characters, after crowning our king and queen. 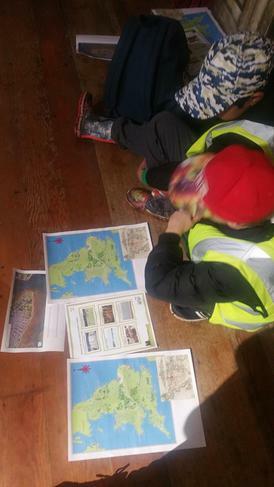 realising that it was close to France. 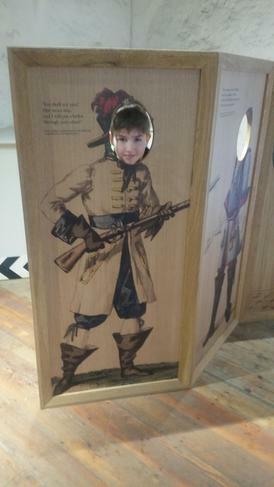 This was so that they could invade or escape to France very quickly depending on the political situation of the time. 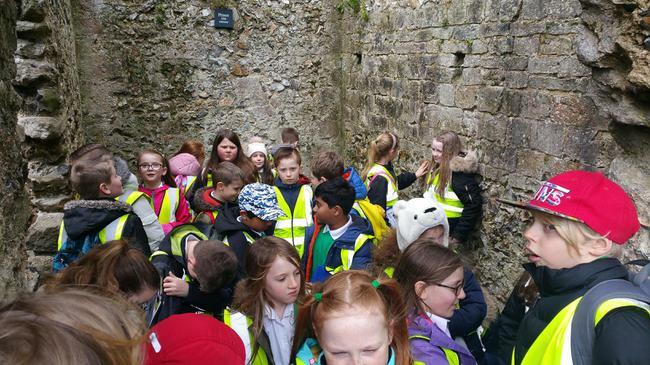 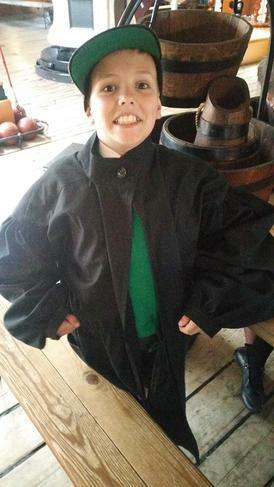 Of course, no trip to Portchester Castle would be complete without Ms Cady's totally awesome toilet tour! 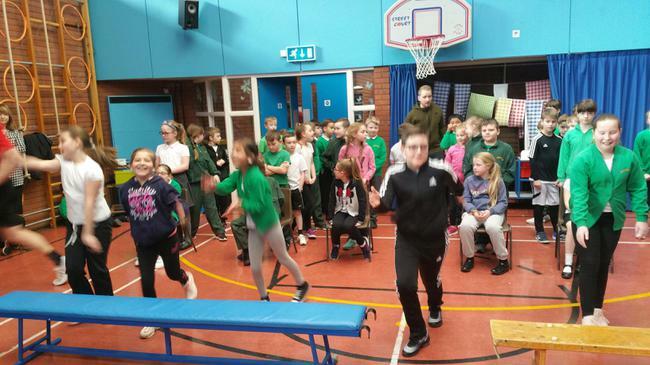 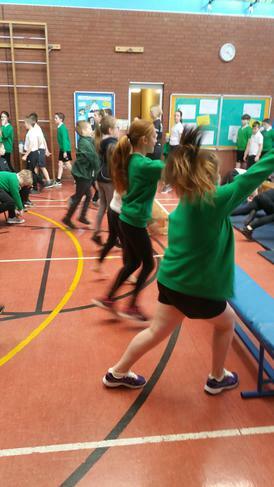 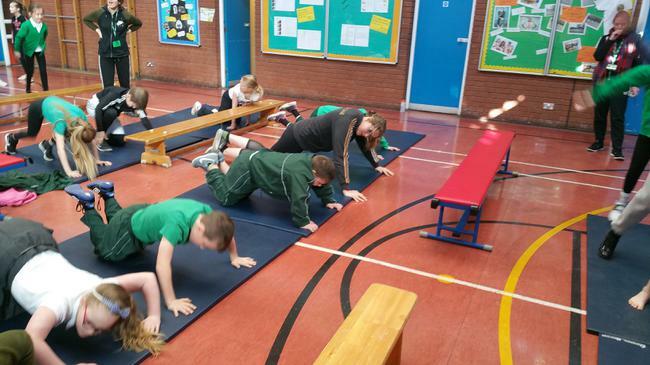 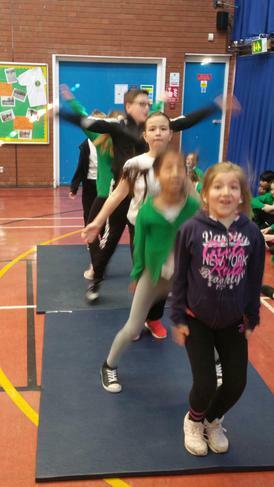 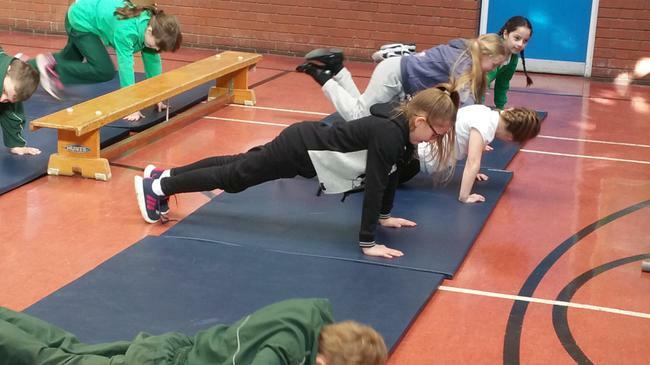 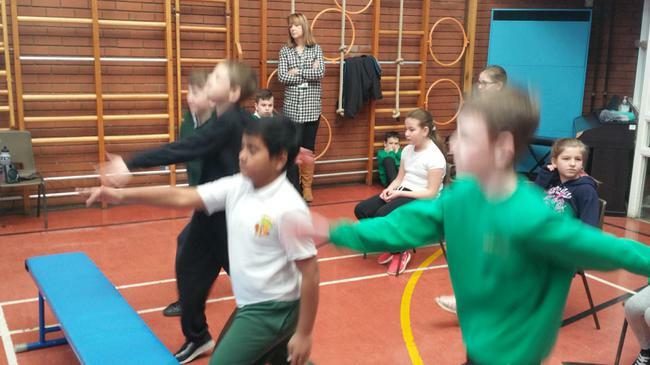 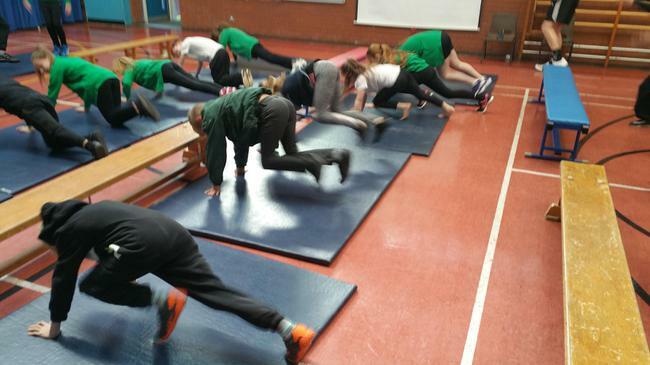 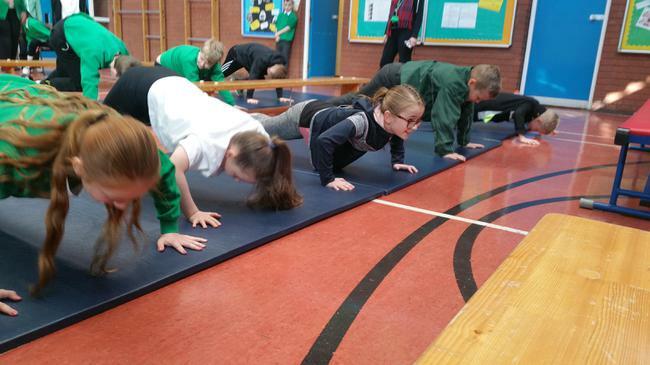 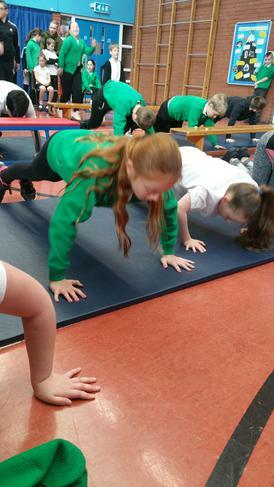 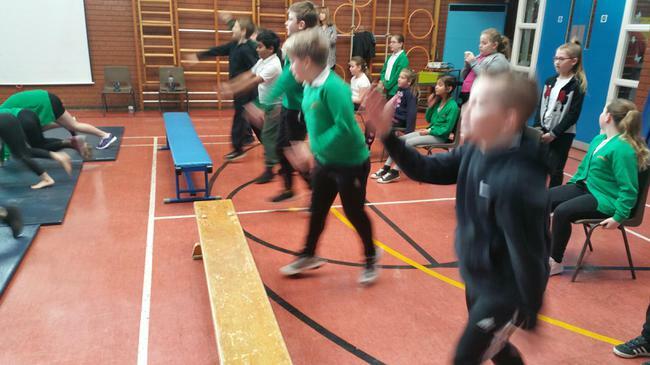 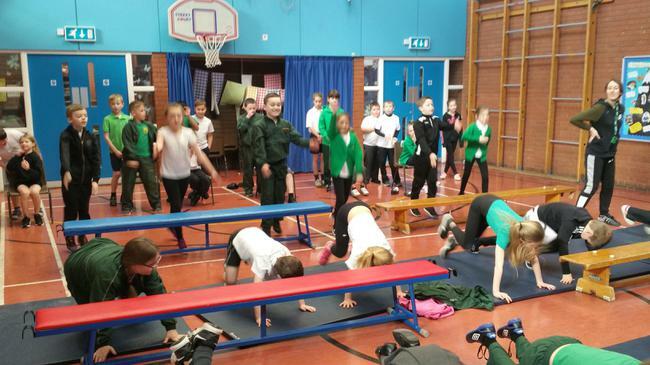 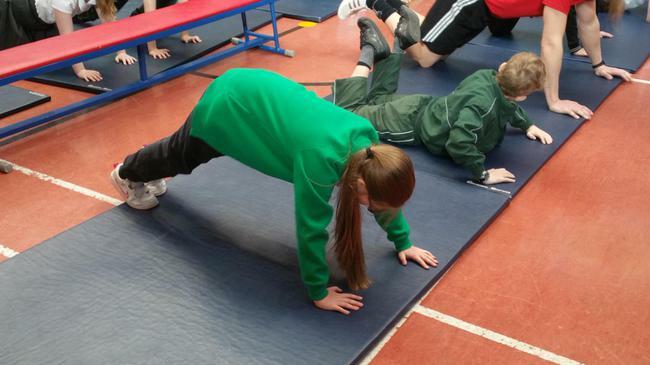 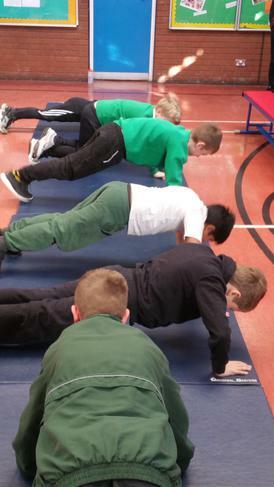 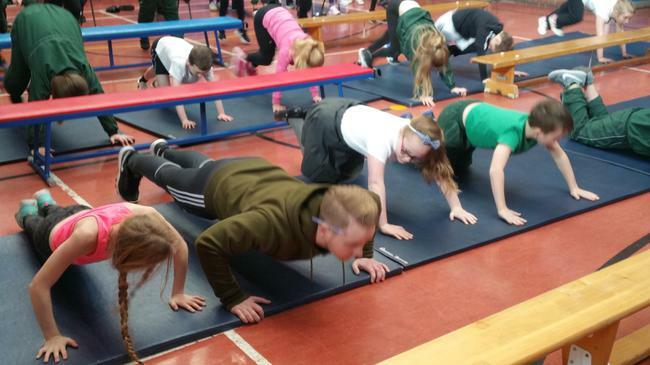 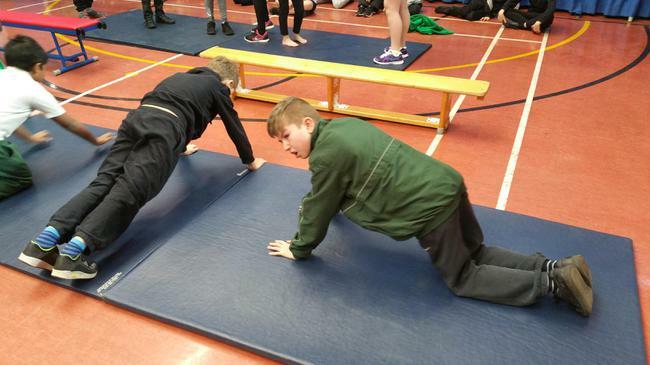 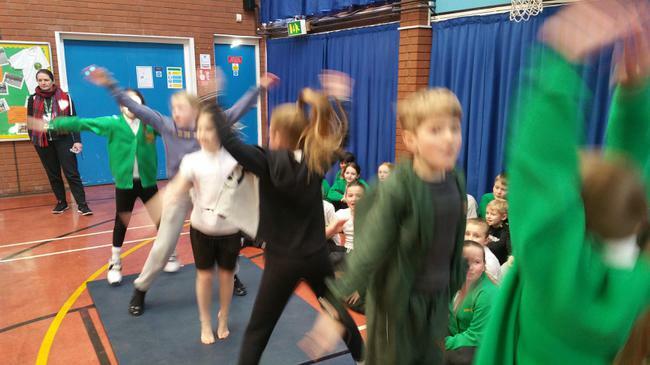 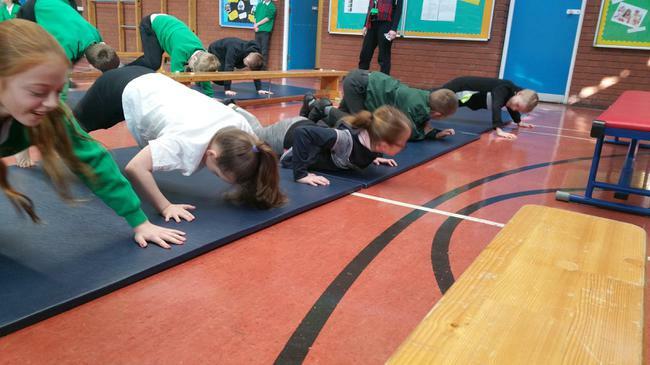 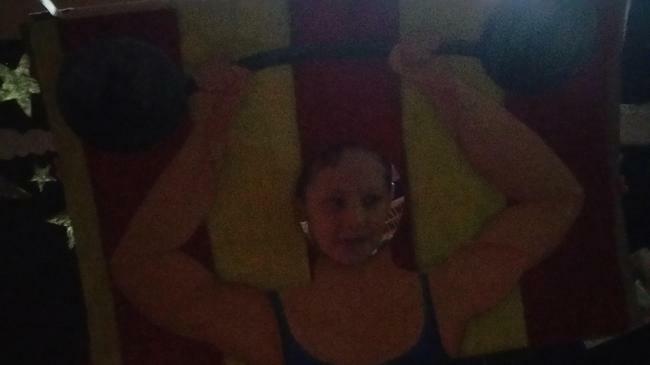 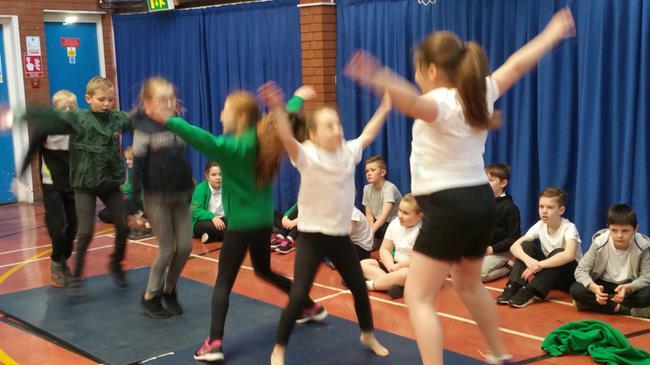 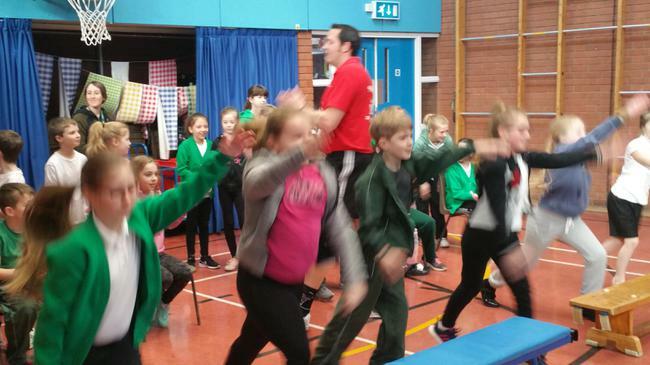 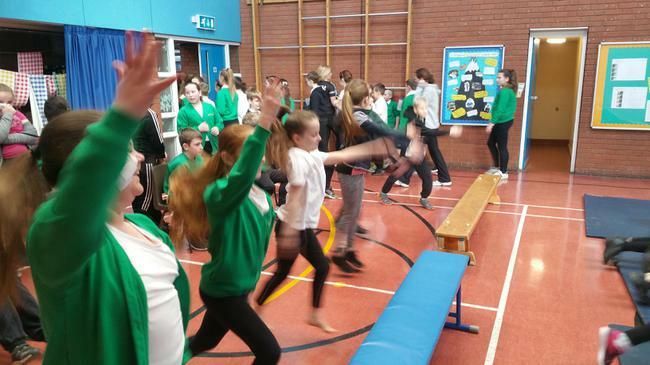 Year 5 worked their socks off, in their sponsored circuit training session. 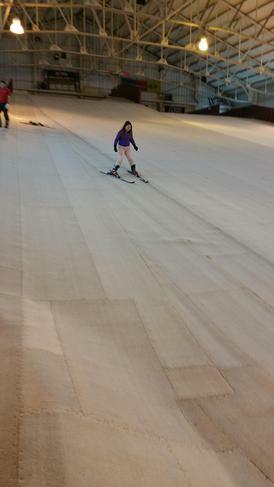 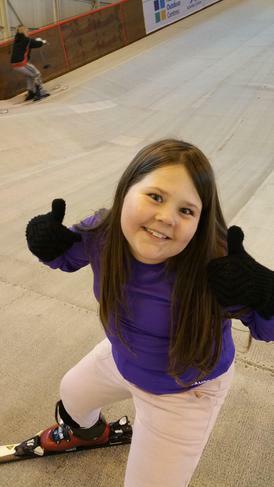 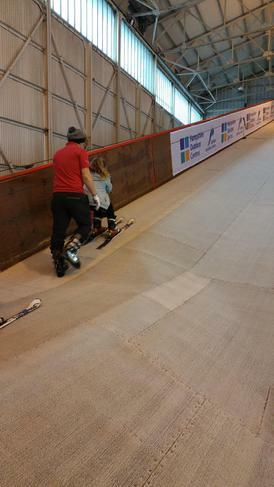 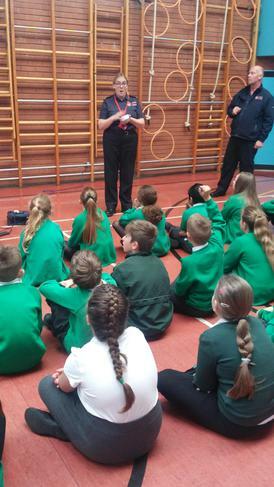 They enjoyed exercising, meeting and listening to Cassie Patton's stories about how she became a successful Olympian. 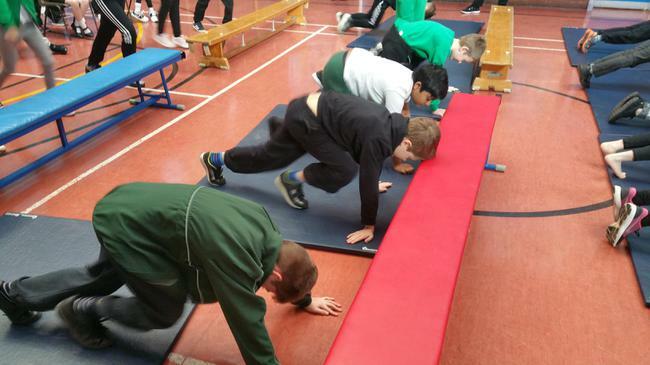 They were inspired to be more active in their lives and work hard to succeed, no matter what challenges are in their way. 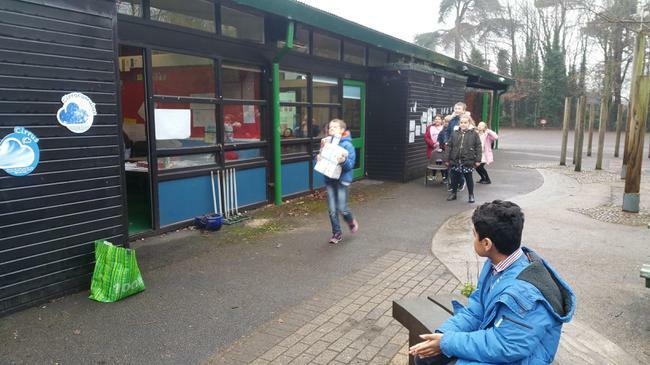 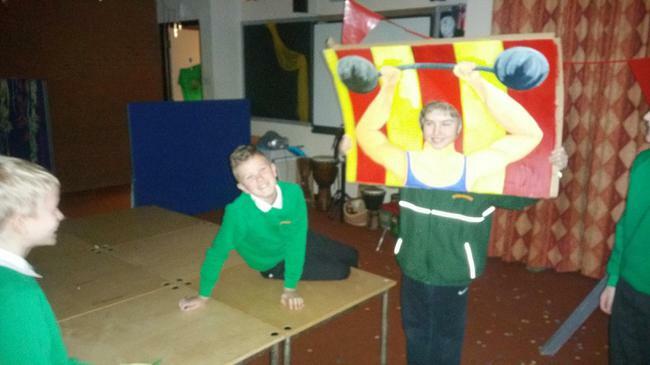 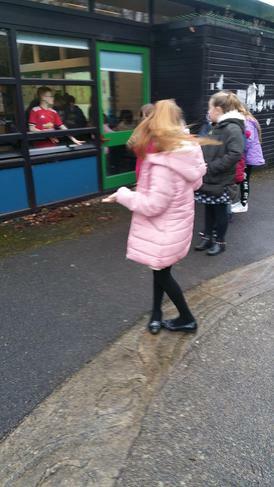 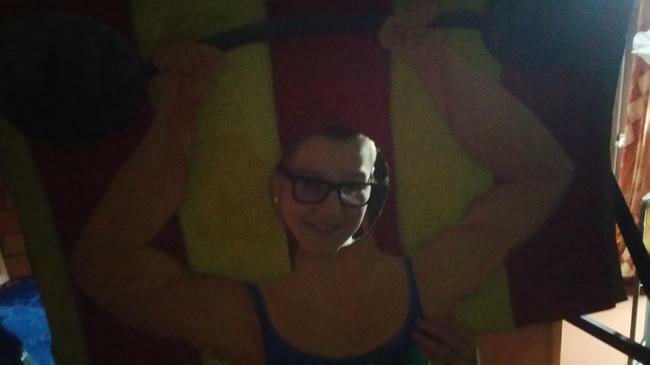 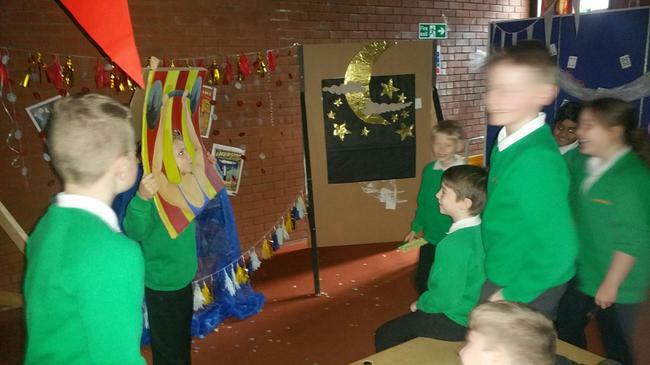 Year 5 were given a mysterious ticket before half term, inviting them to a carnival. 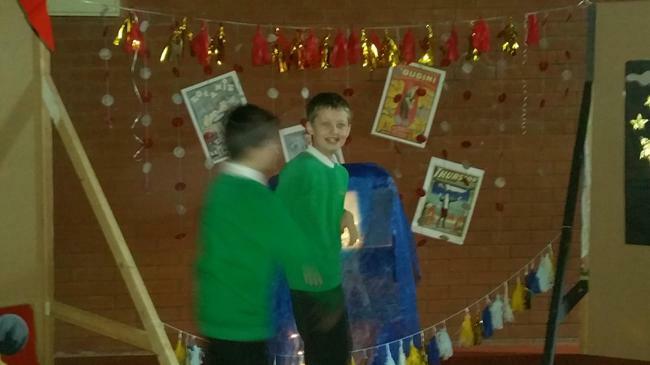 They arrived to see the studio transformed into a place of wonder and illusion. 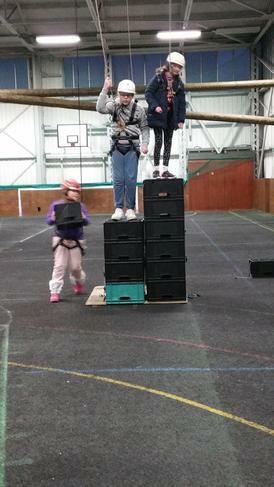 Tricks abound and magic filled the air. 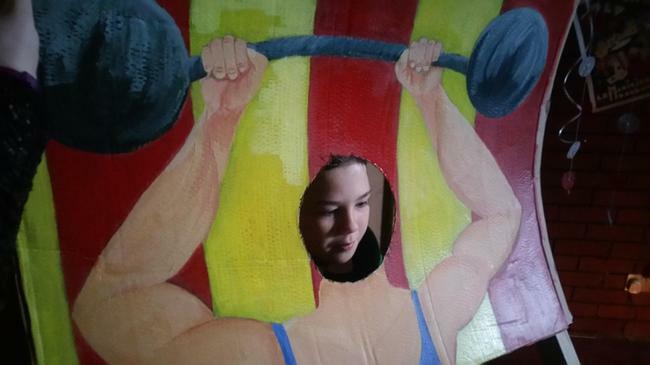 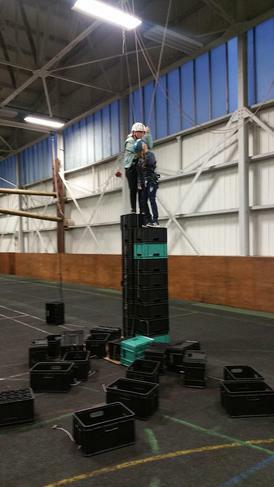 Inside the carnival was a vanishing box - I wonder where it could lead to? 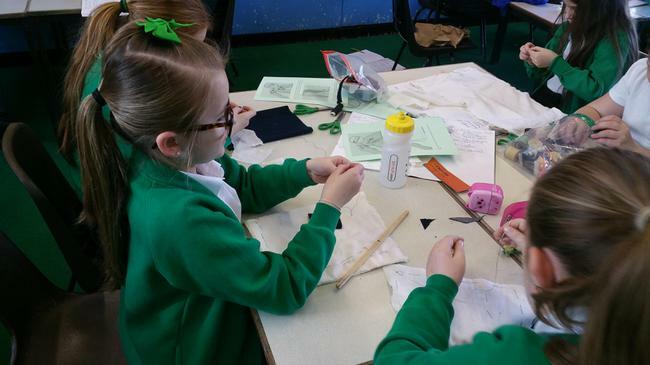 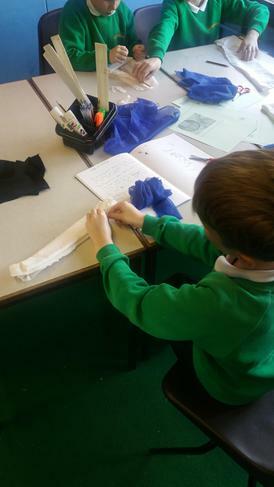 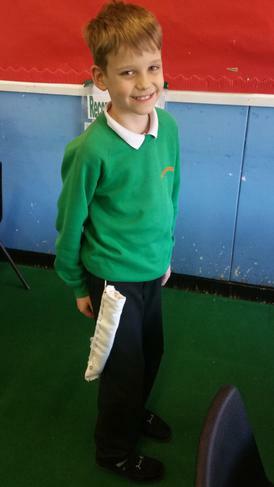 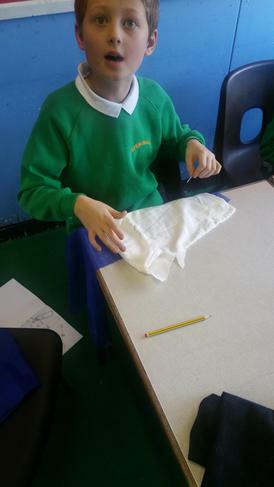 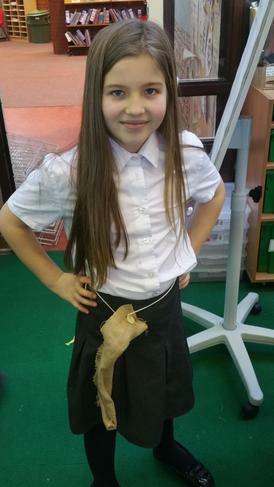 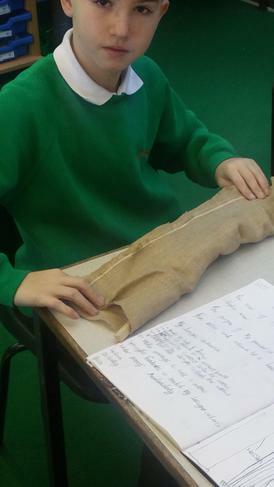 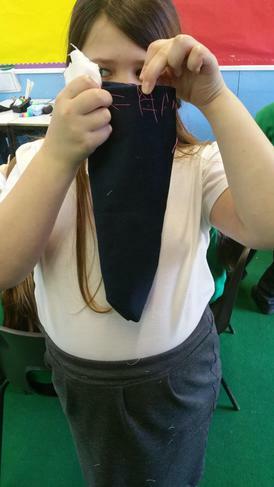 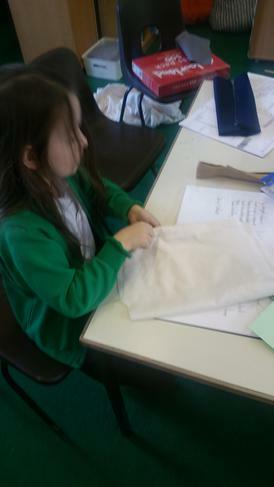 After a relaxing and filling Christmas break, Spider class, designed and made quivers. 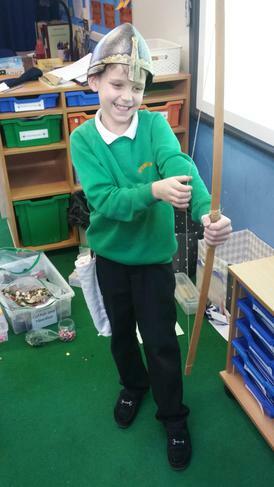 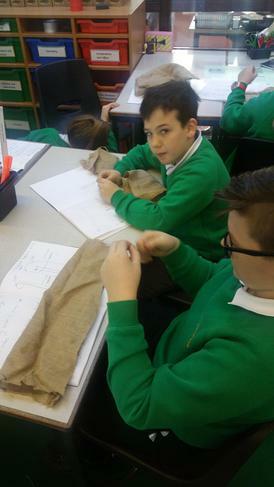 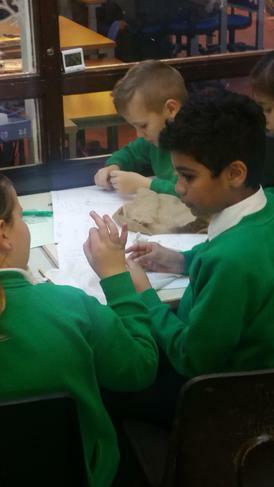 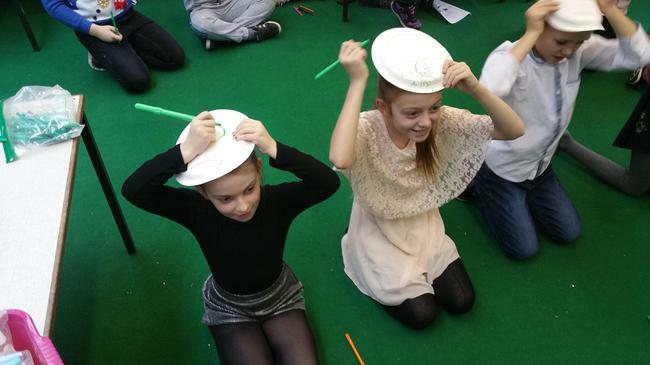 A DT project which is helping us understand life in Norman times as part of our new topic - Invaders and Settlers. 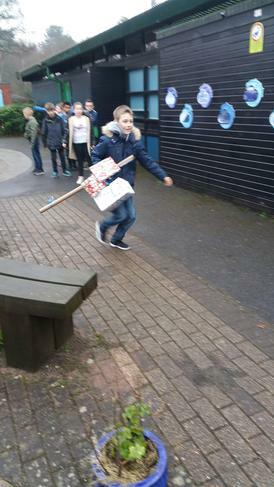 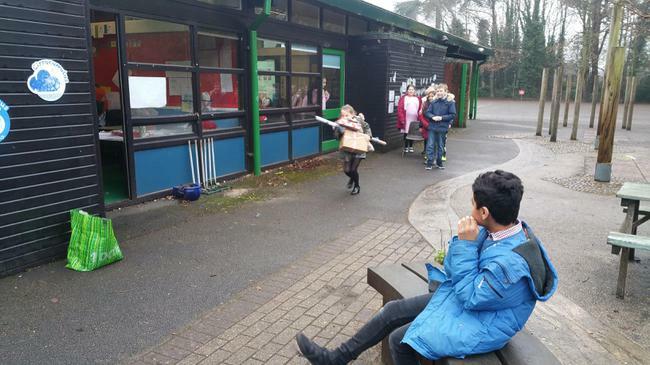 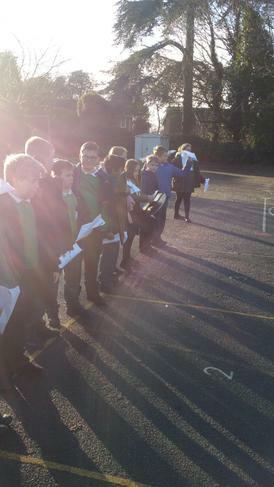 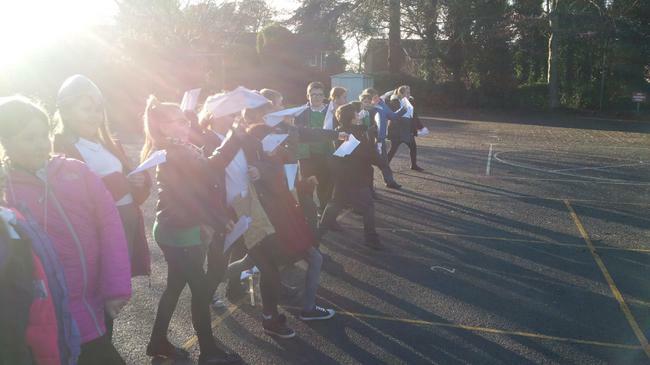 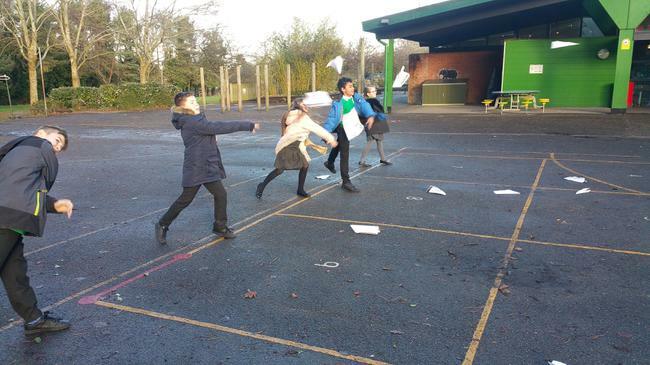 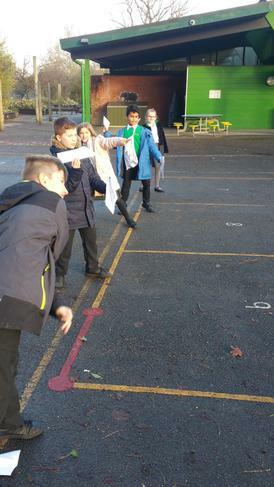 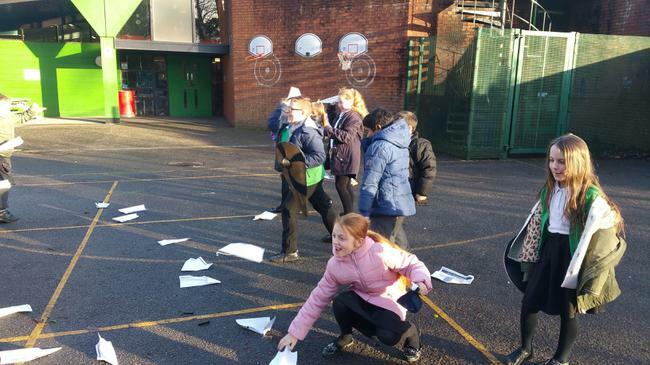 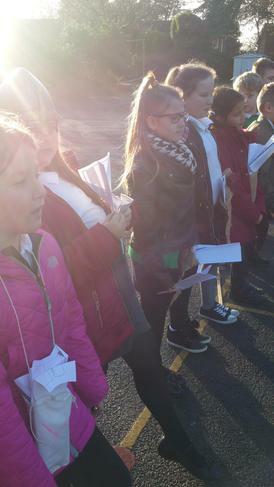 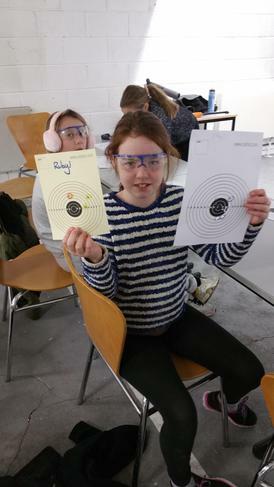 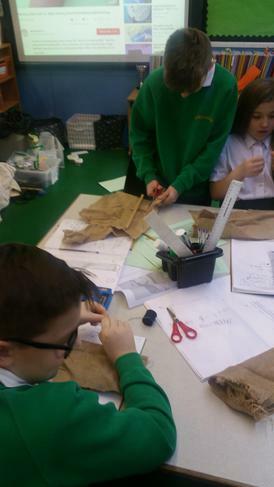 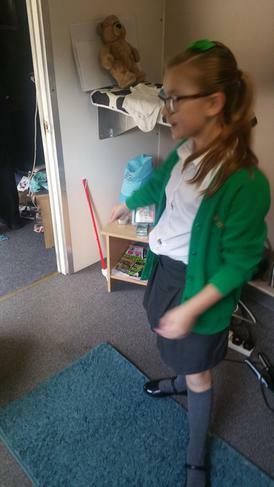 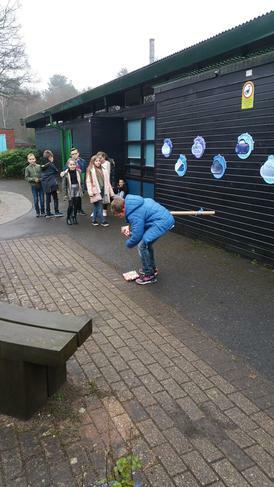 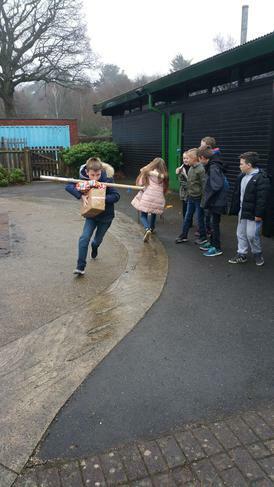 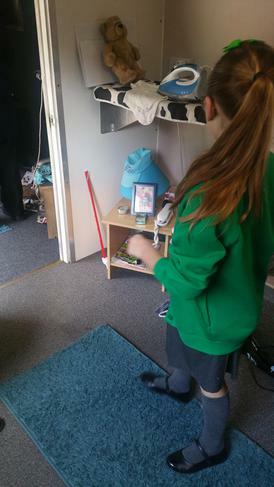 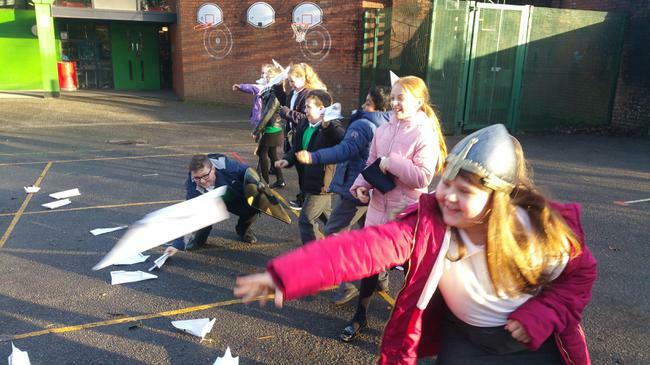 We also looked at the air resistance and aerodynamics of the arrows used at the Battle of Hastings - using paper planes to try and recreate the battle tactics of the archers. 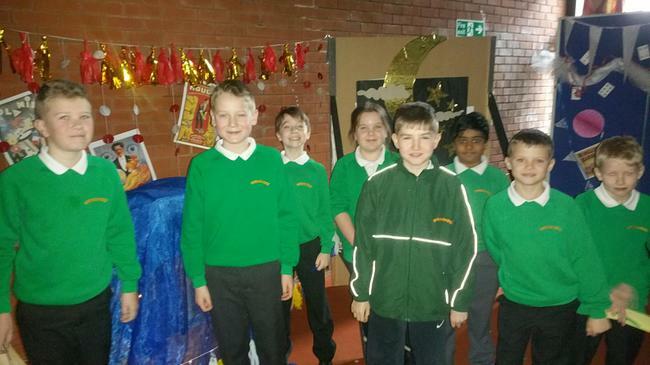 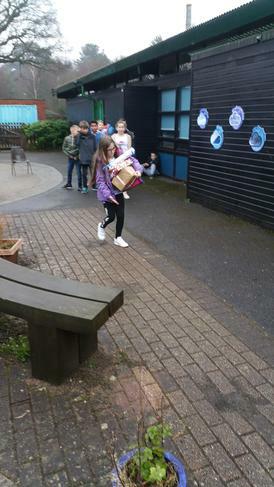 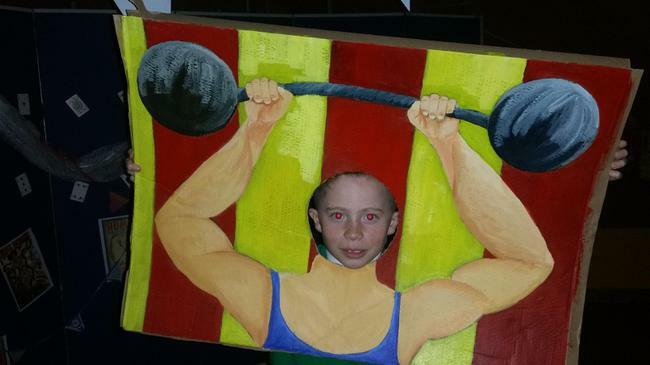 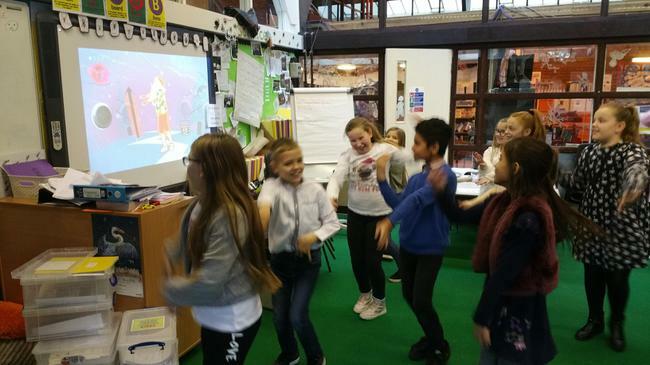 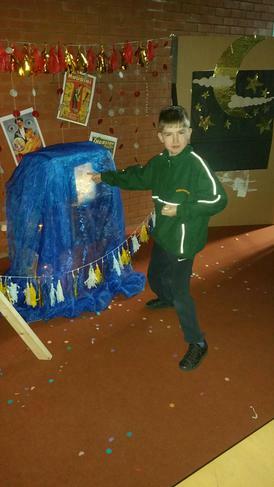 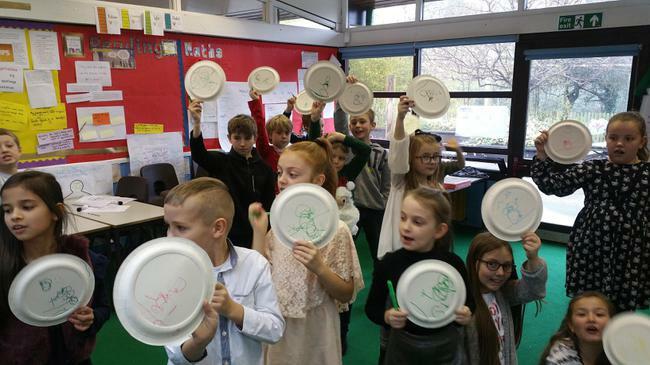 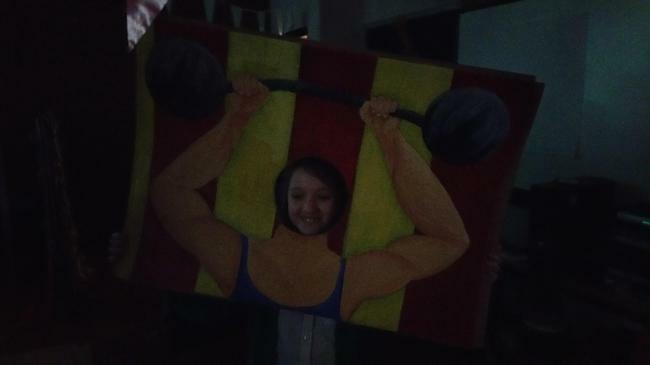 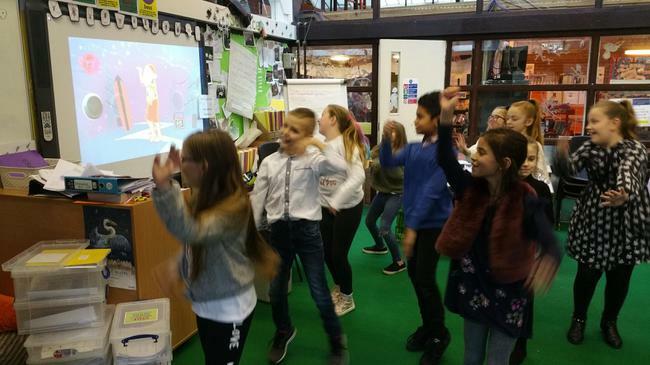 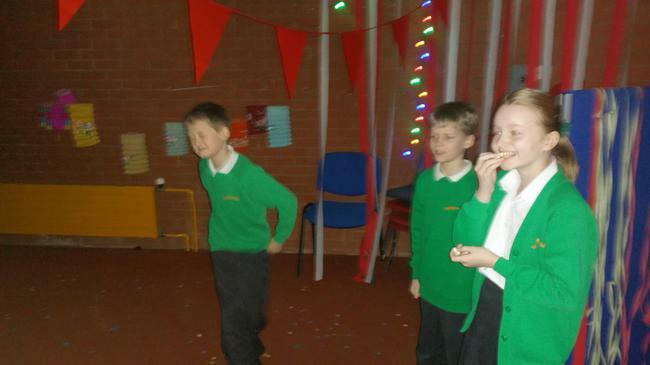 After a term of hard work, Year 5 had the opportunity to celebrate the festive season. 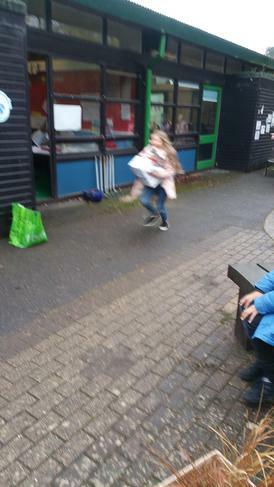 Spider class chose their activities including: Don't drop the present, snowman drawing competition and Just Dance. 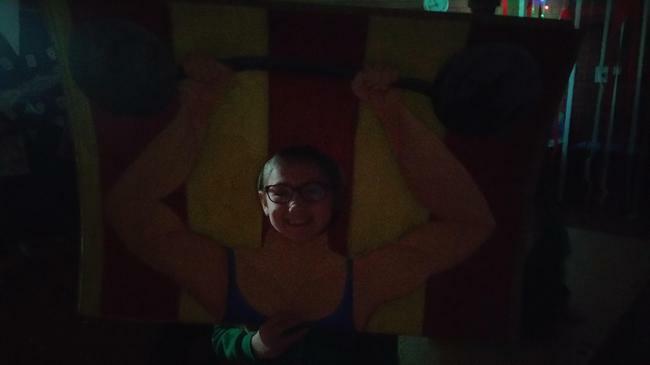 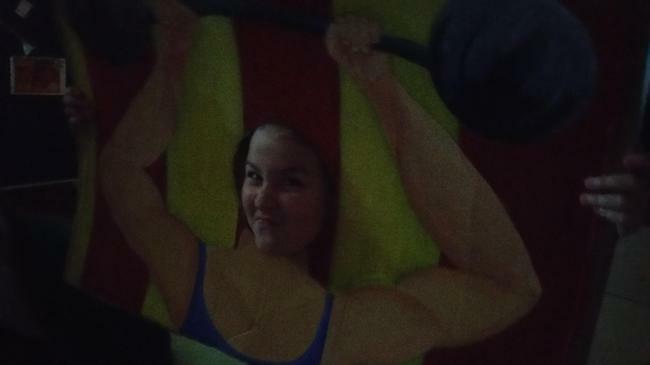 Have a great Christmas break everyone! 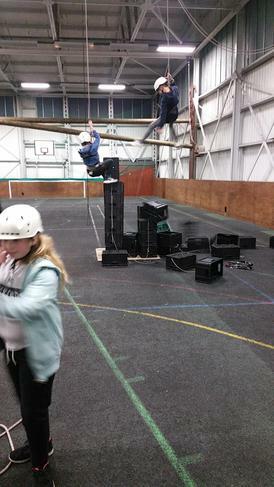 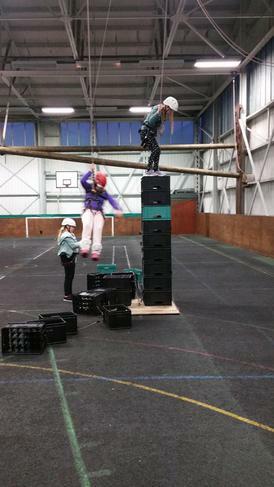 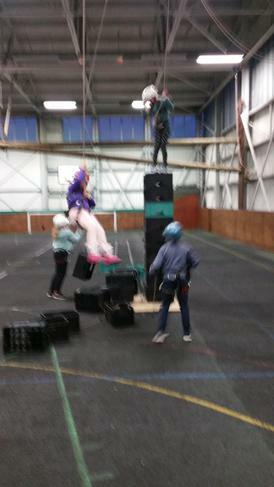 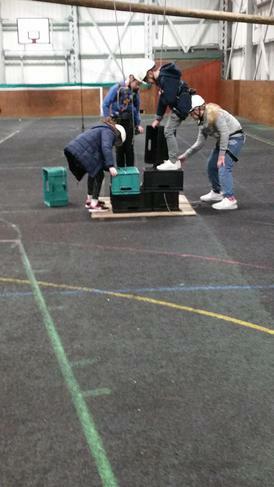 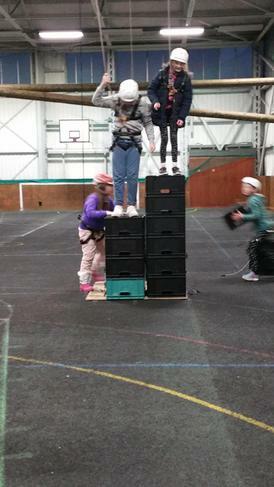 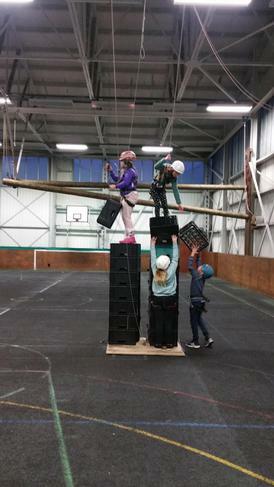 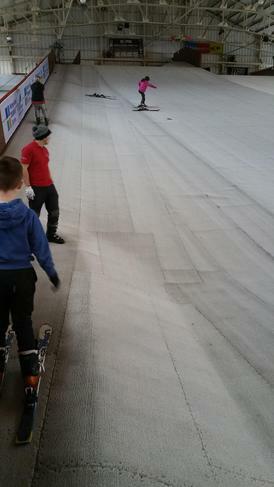 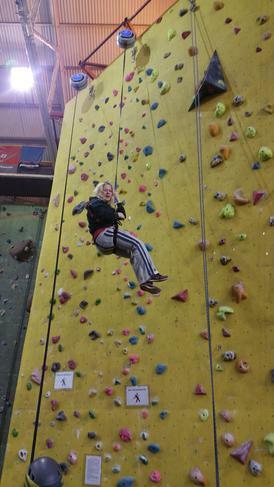 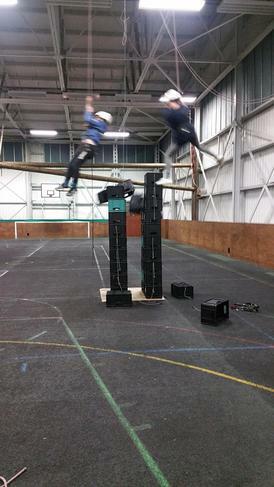 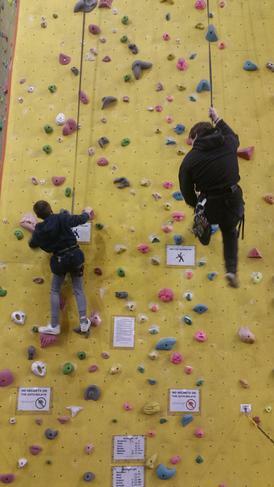 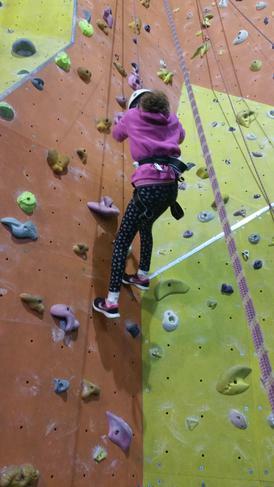 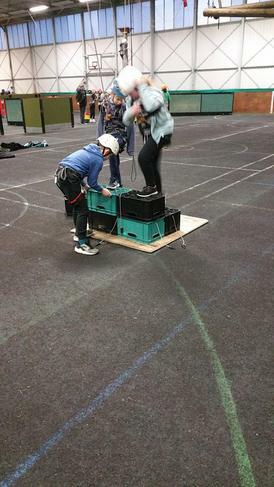 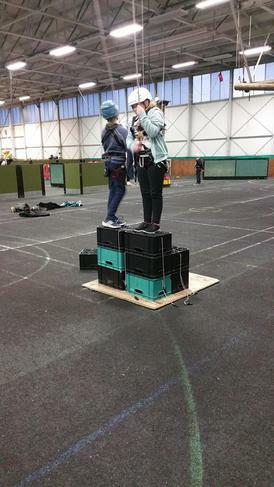 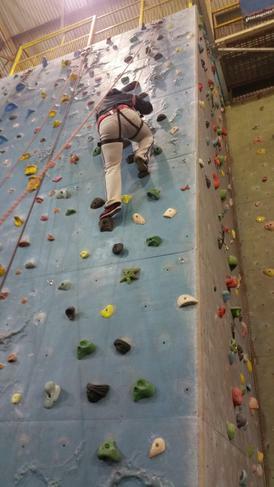 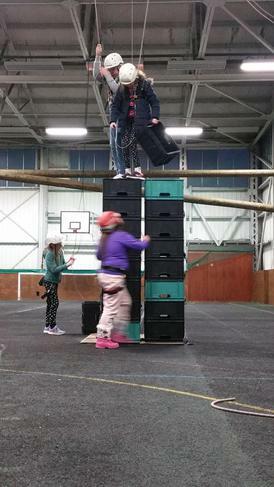 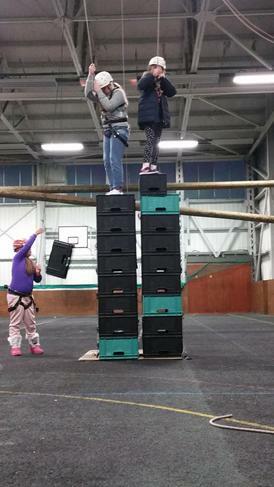 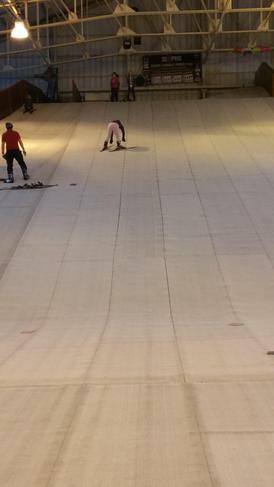 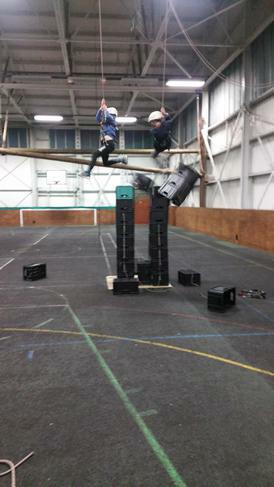 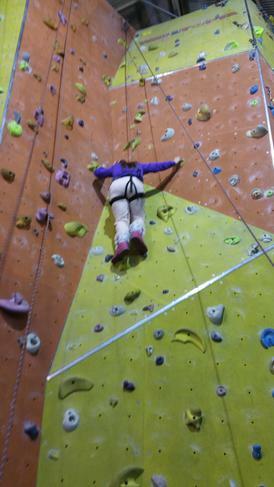 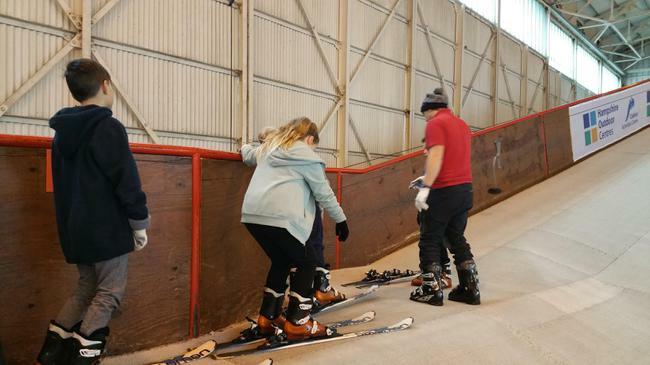 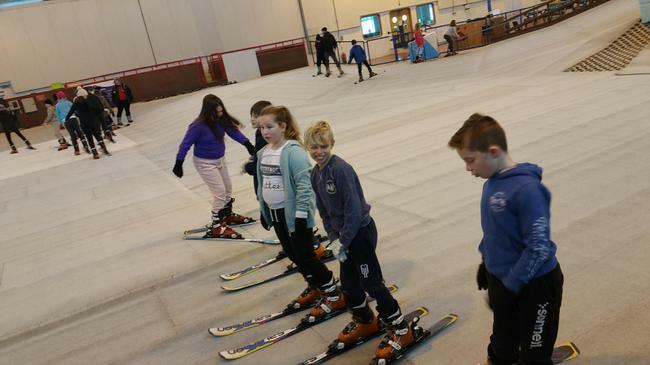 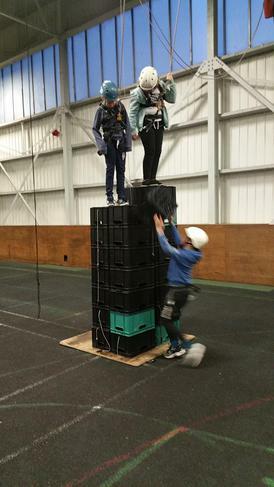 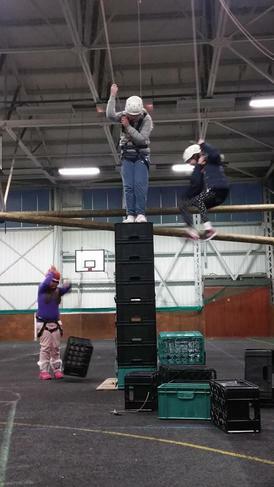 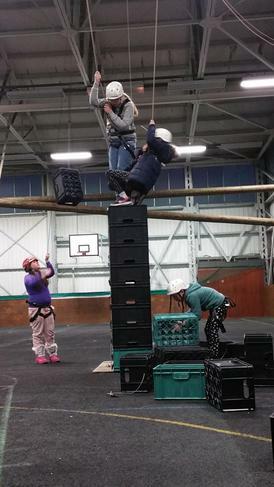 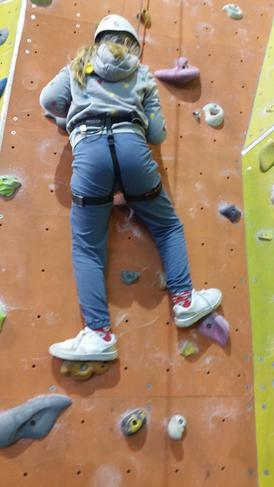 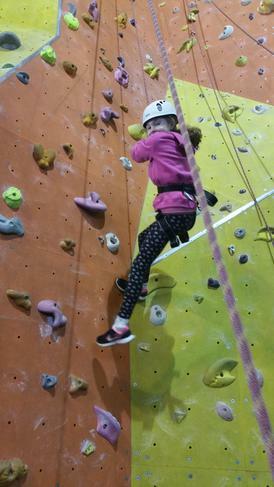 The end of another day crammed with amazing activities including: skiing session 2, peg pole, crate stack, low ropes and climbing. 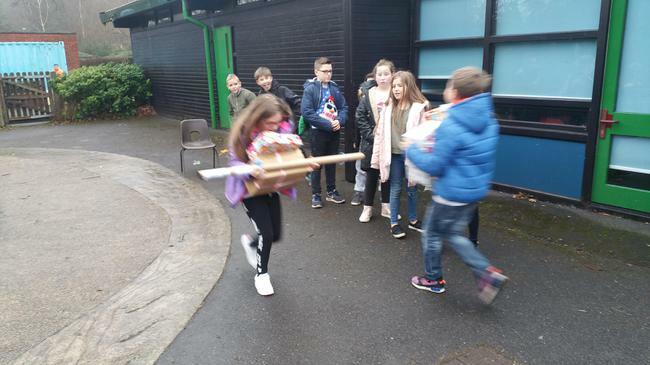 Everyone's energy has been kept up by copious amounts of hot chocolate and flapjacks, alongside delicious meals including a roast dinner. 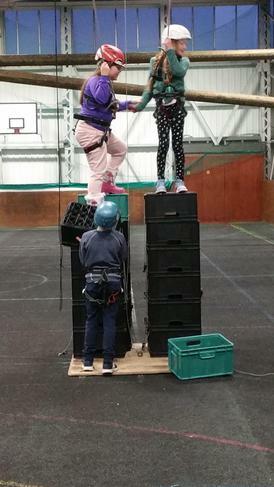 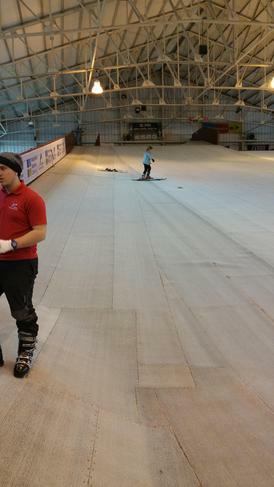 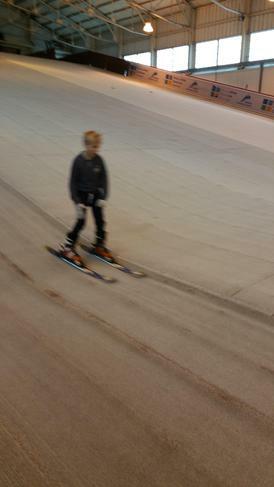 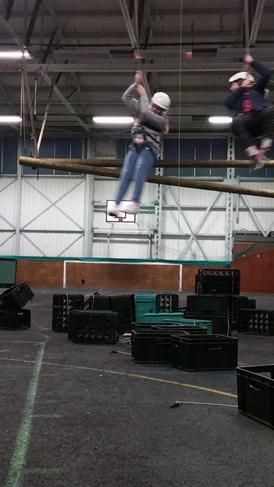 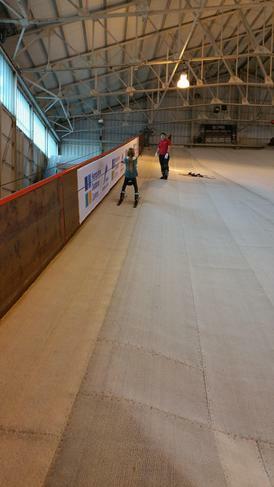 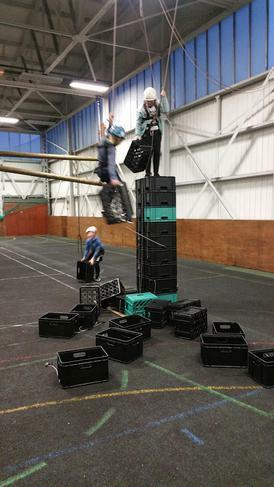 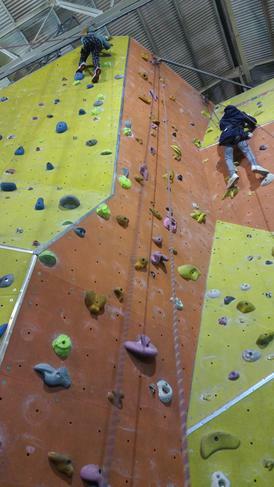 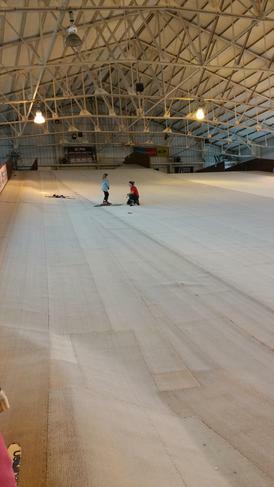 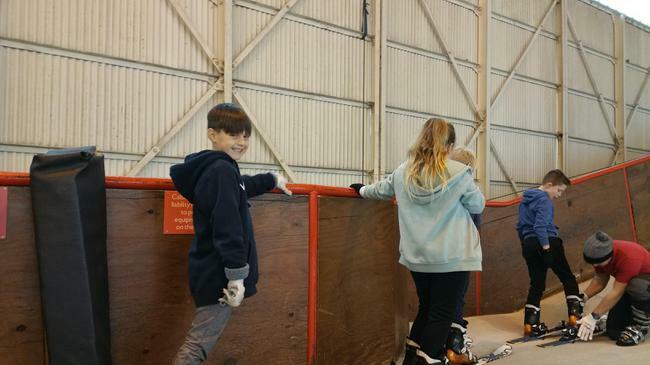 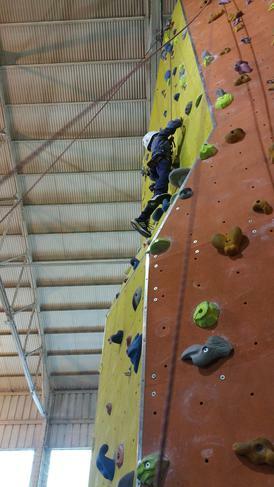 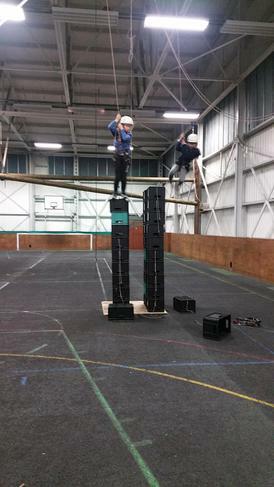 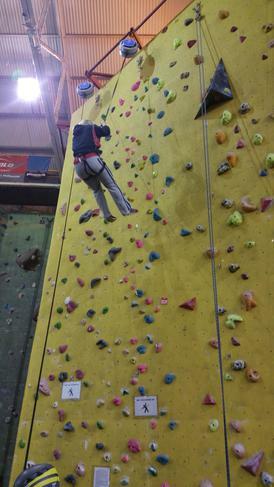 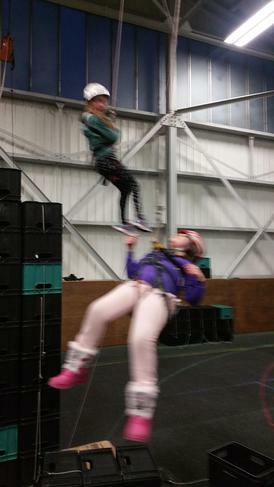 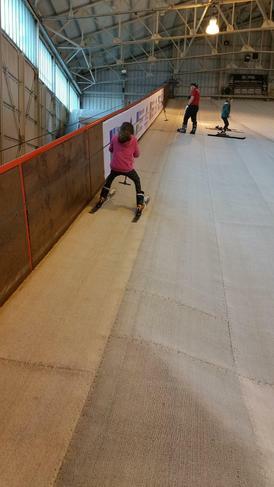 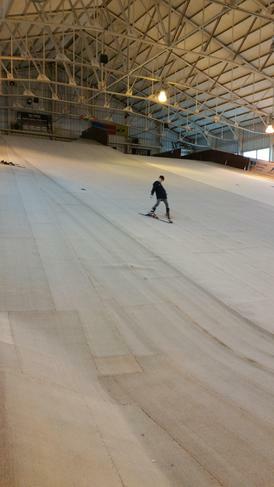 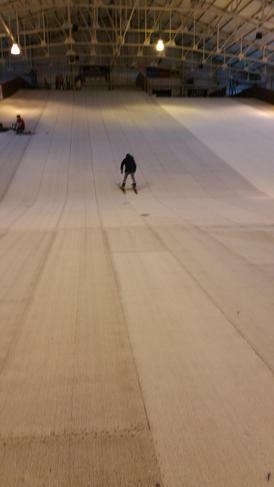 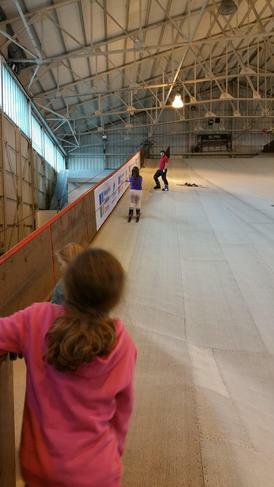 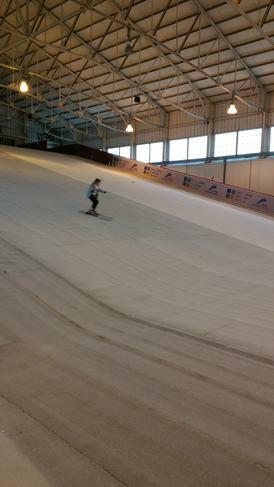 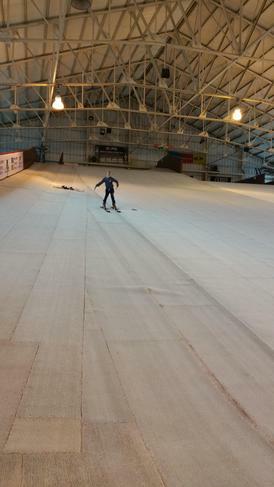 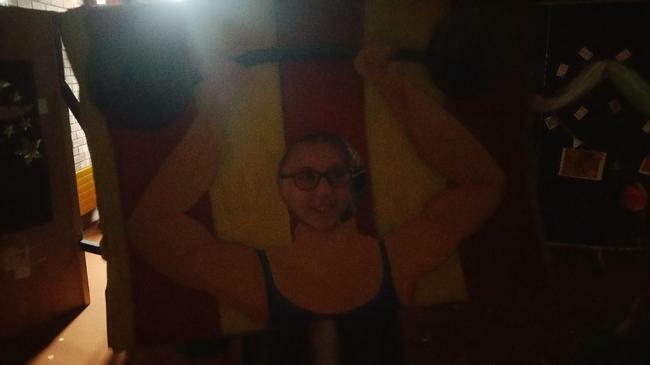 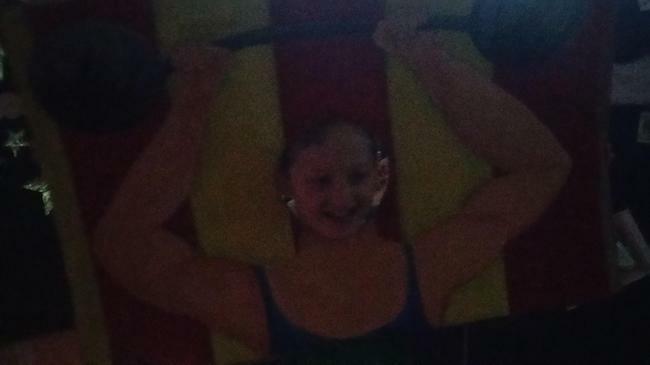 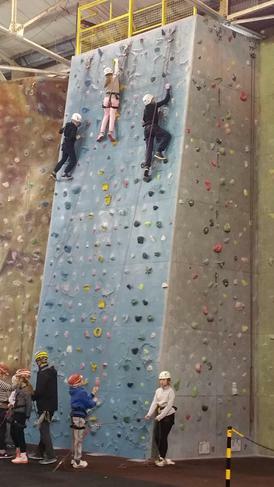 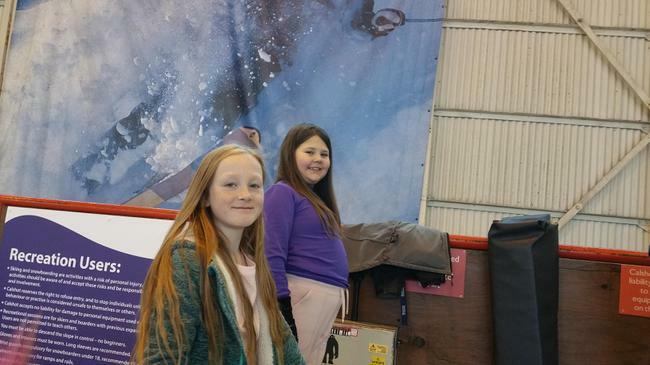 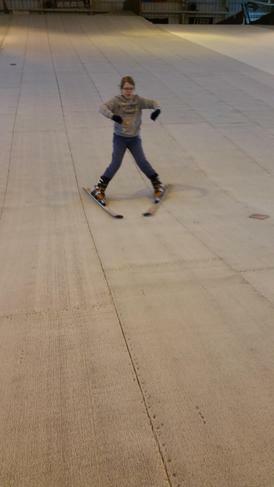 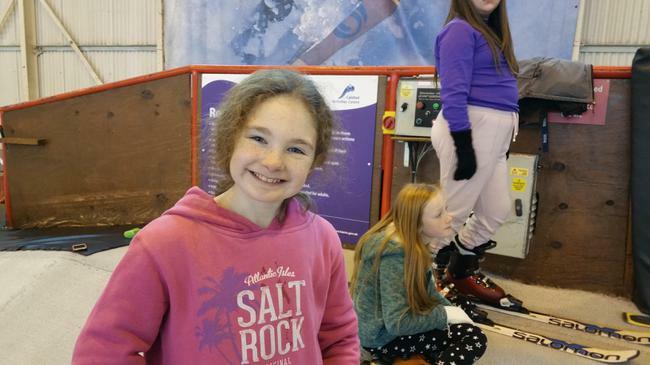 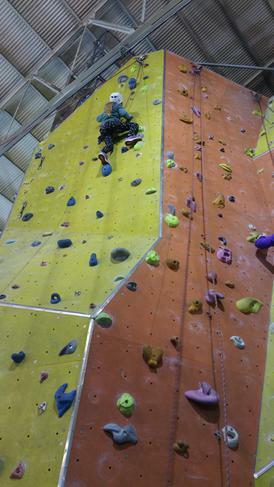 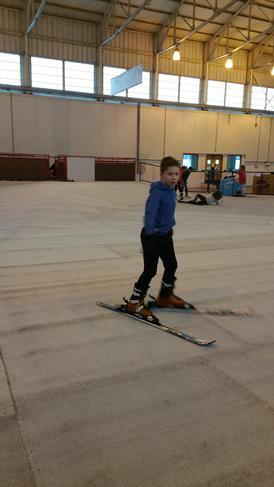 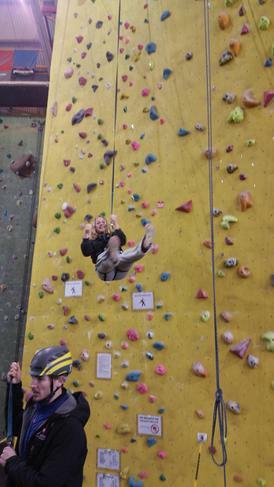 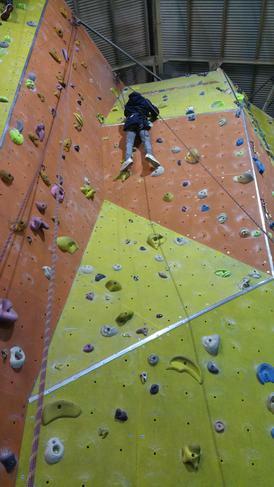 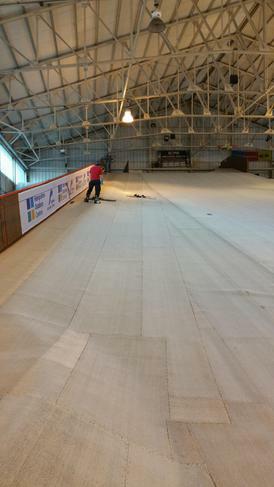 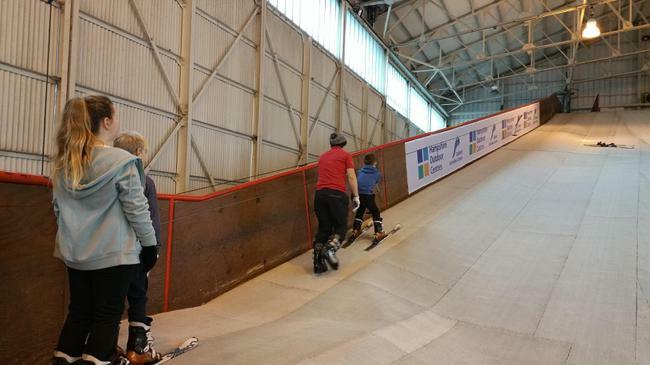 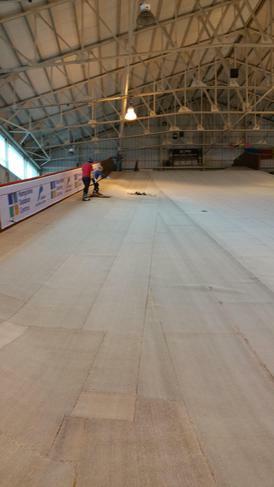 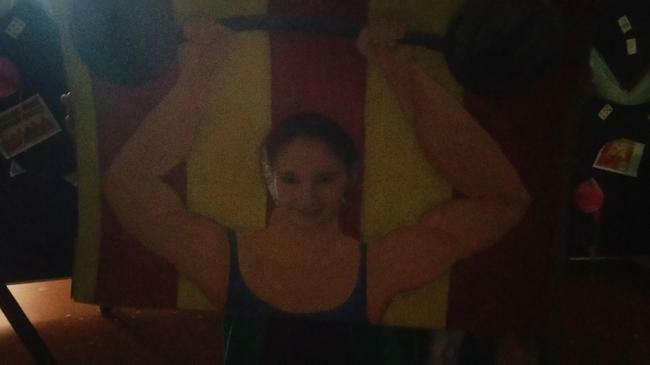 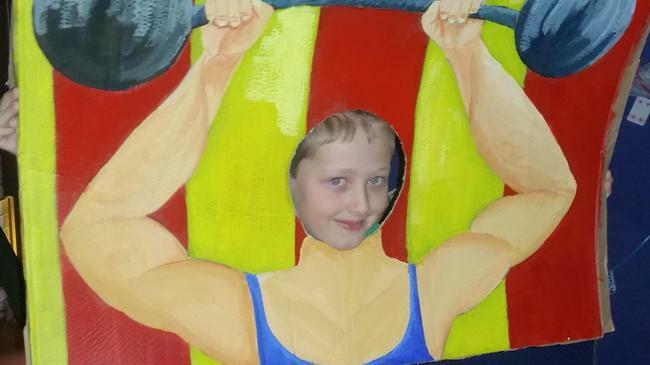 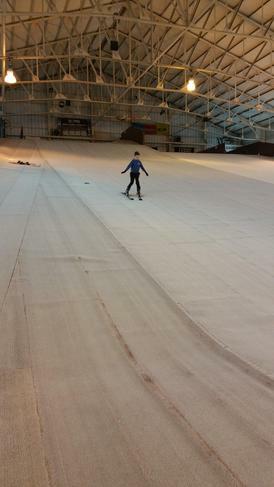 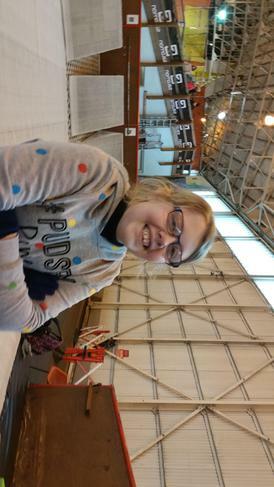 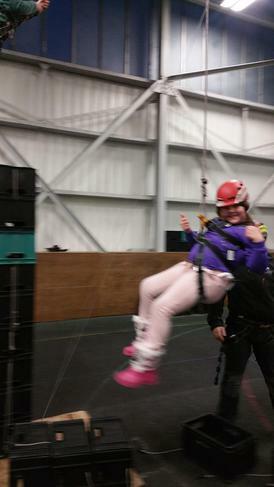 For calshot please look on the year 6 page. 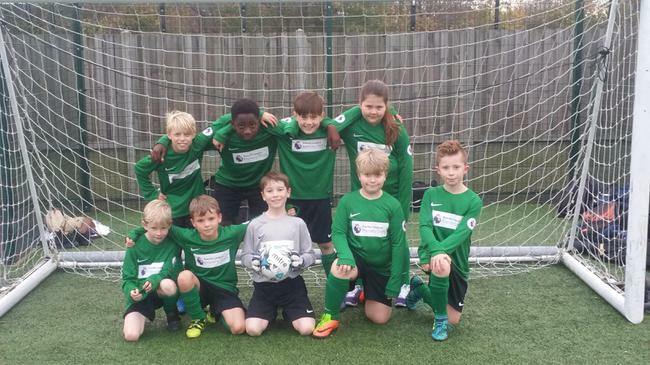 Well done to the football stars of Year 5! 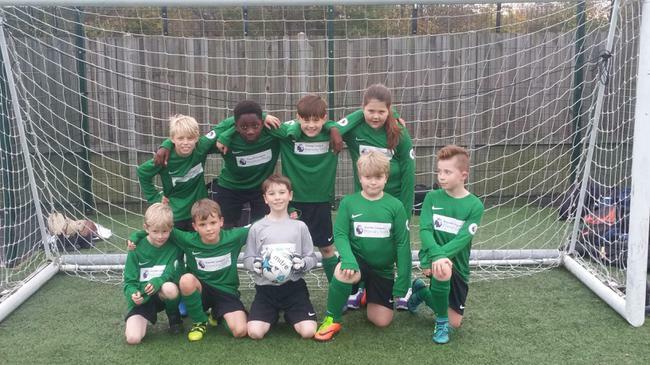 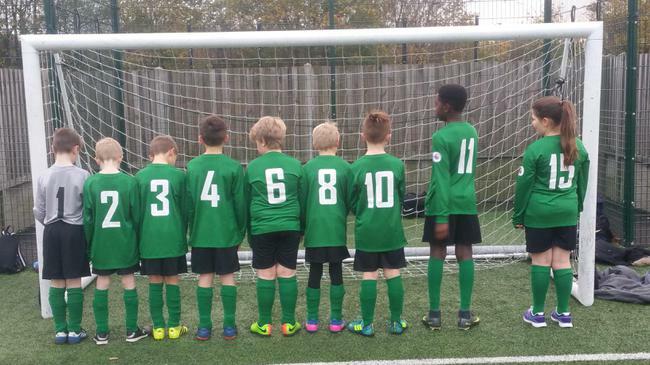 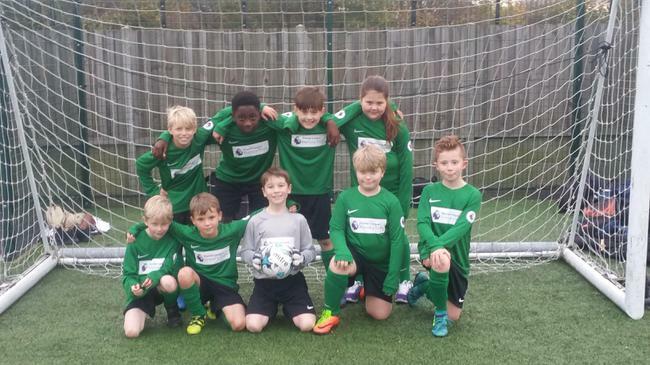 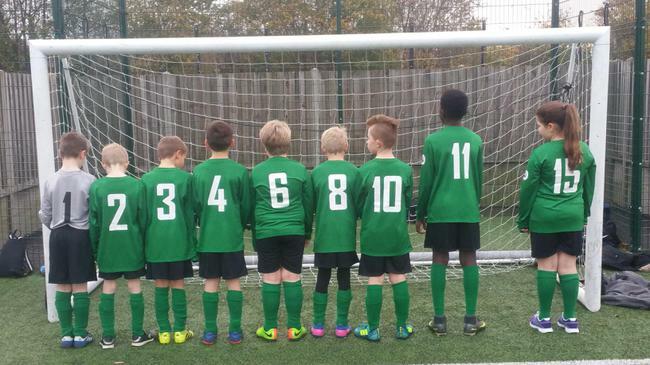 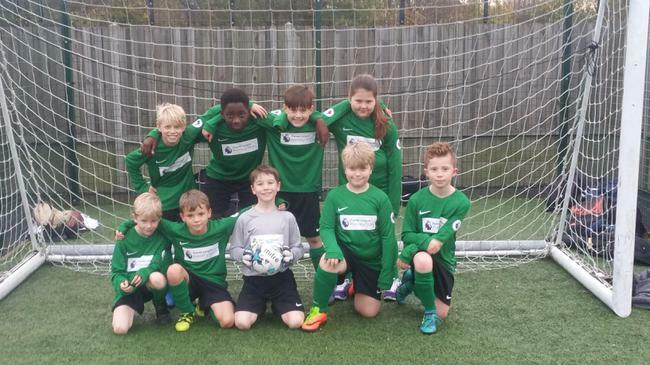 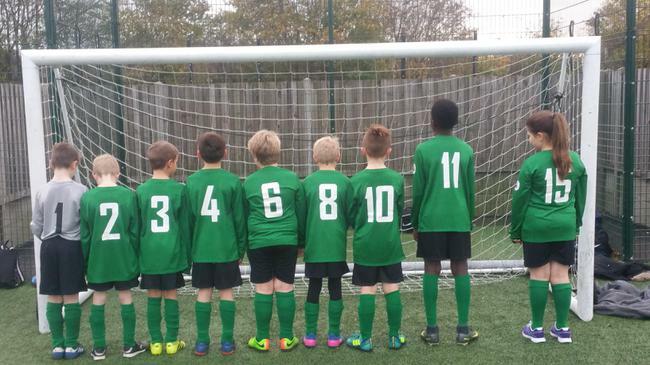 You looked very professional in the new football kit and worked well as a team. 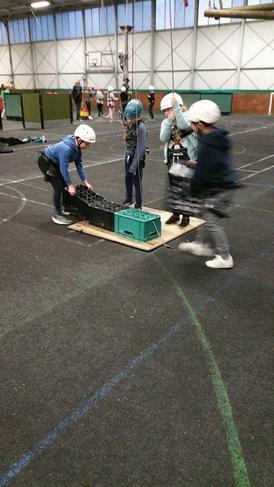 You communicated together and tried your best to demonstrate your skills. 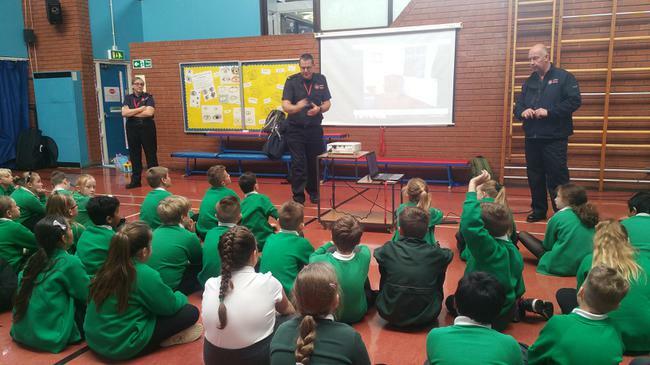 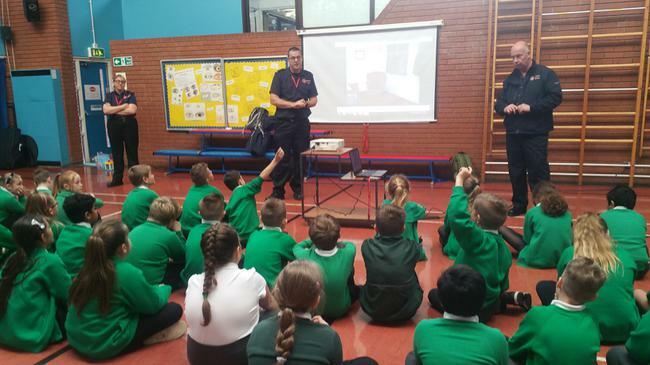 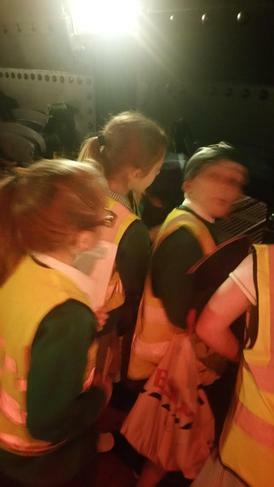 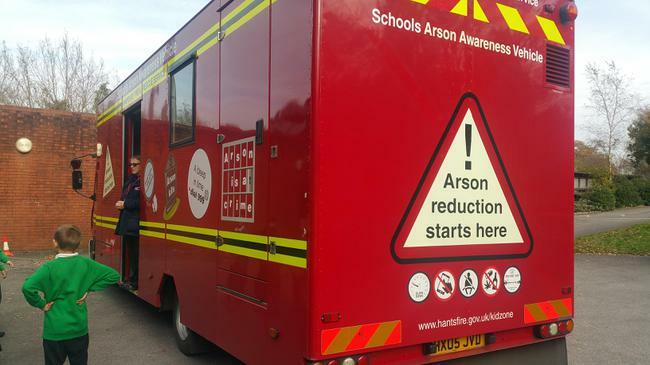 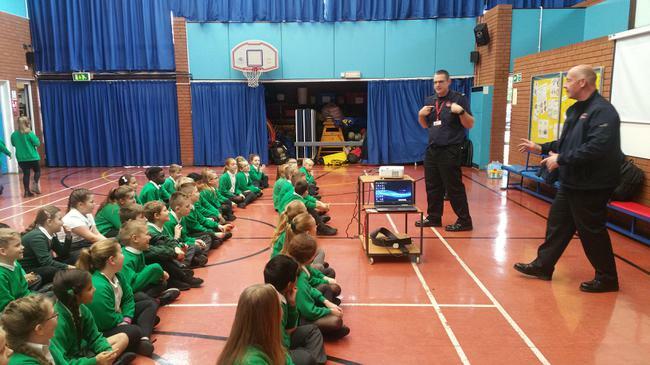 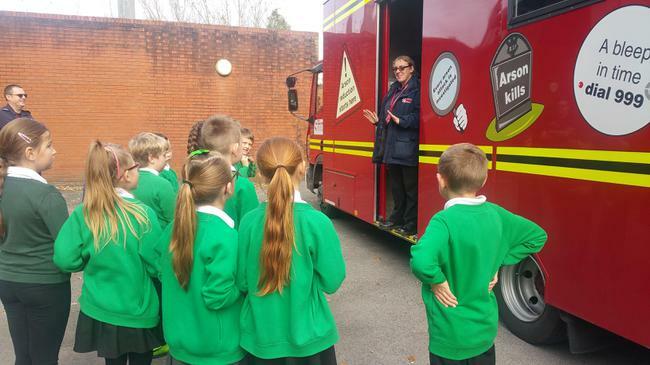 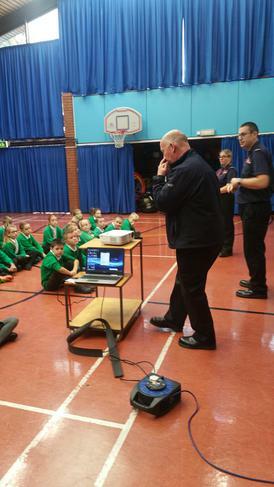 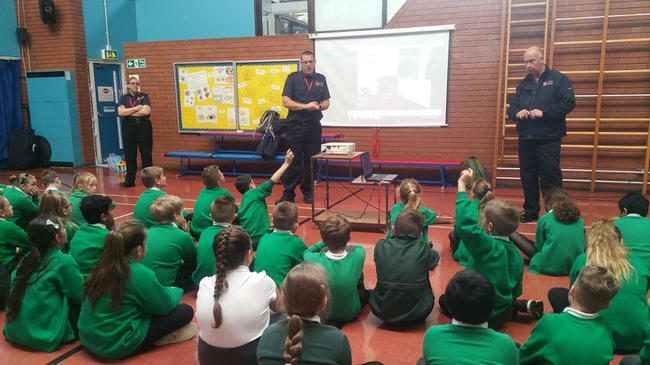 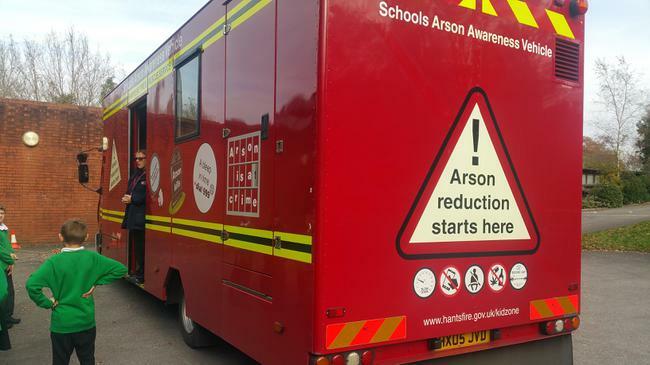 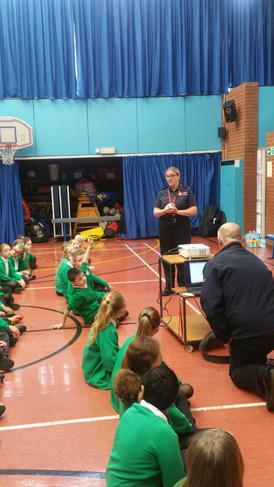 On Wednesday of this week, Year 5 were visited by the fire service and taught all about fire safety and road safety. 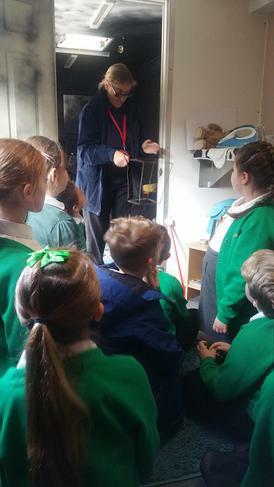 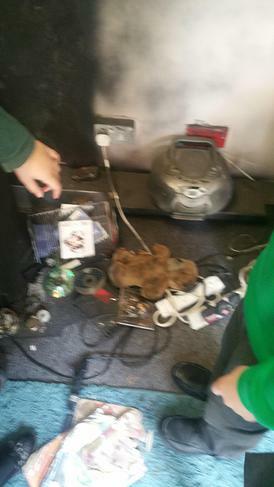 It was an exciting day, as children had to investigate the cause of a fire and guess how the fire may have started from multiple hazards. 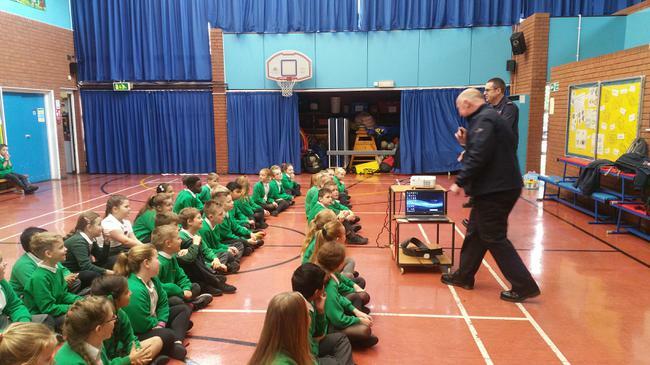 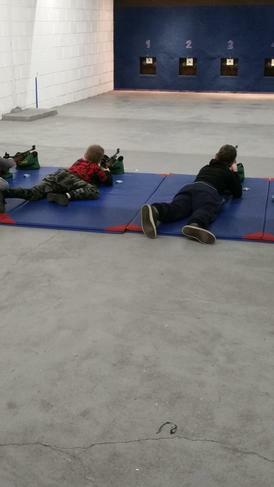 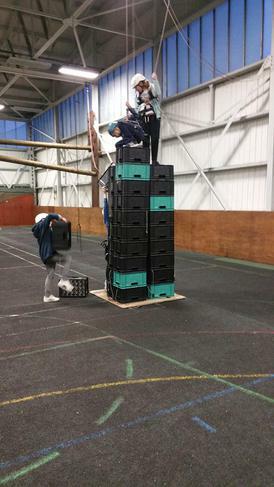 After this, they learned about how mobile phones can cause a distraction when walking safely. 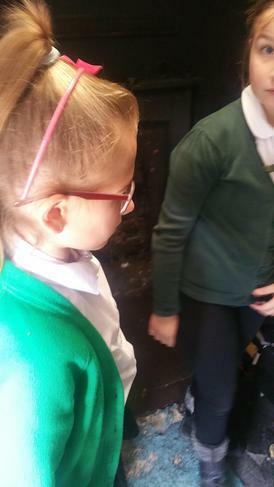 As good pedestrians, we need to take out our ear phones when crossing a road, put away our phones and stop, look and listen in a safe place. 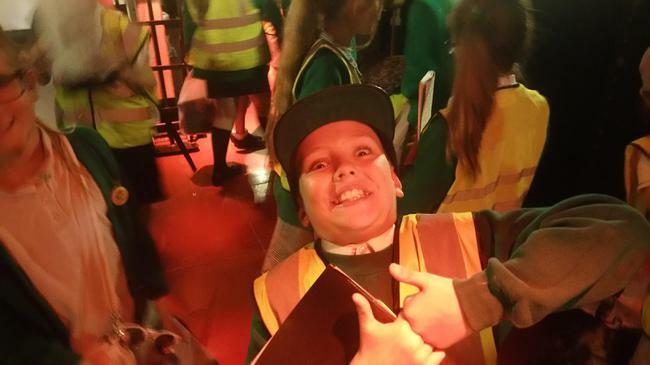 Well what a week! 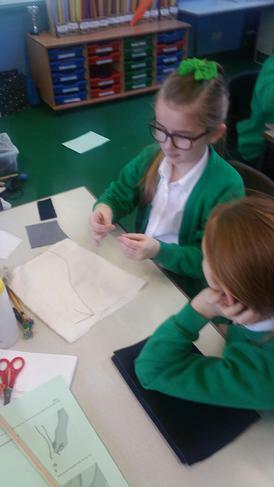 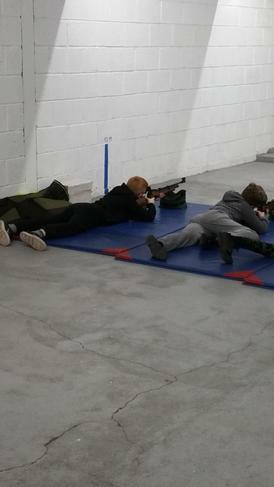 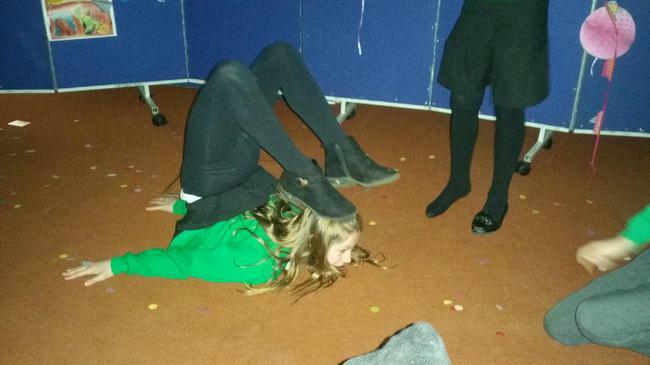 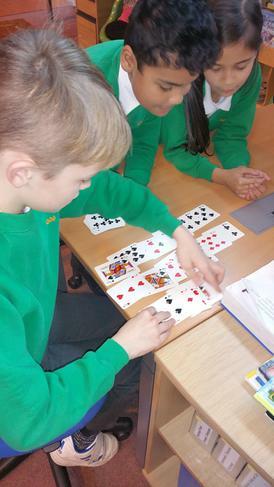 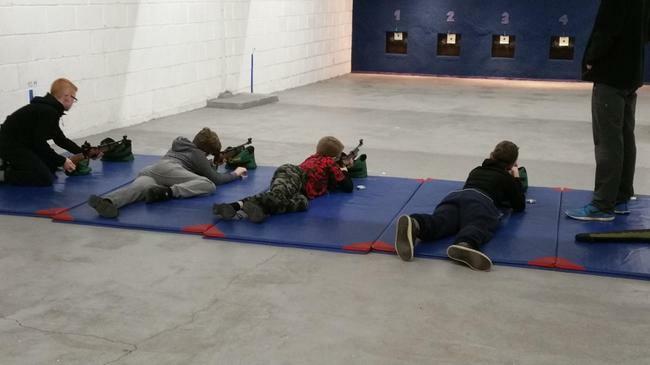 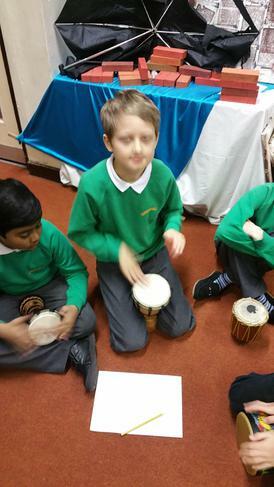 After a restful yet studious break, Year 5 started their new topic with a bang. 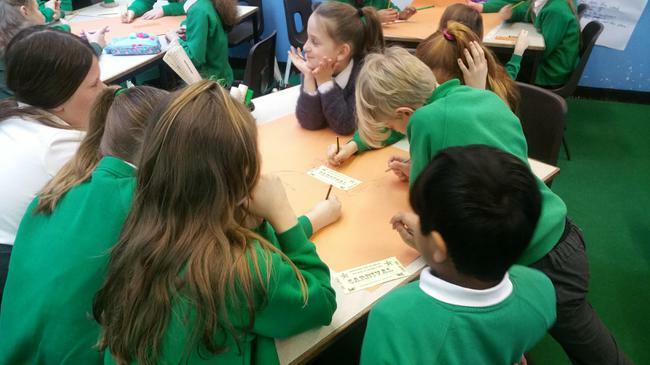 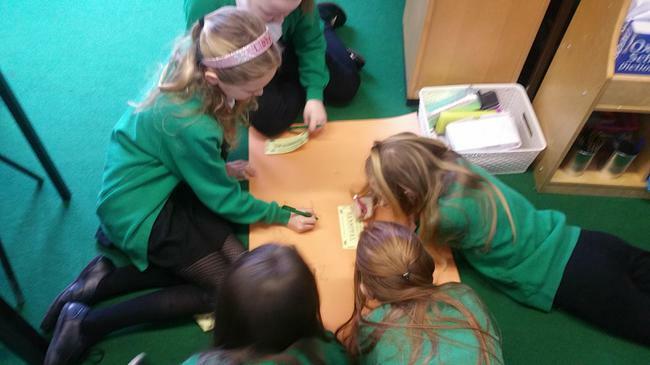 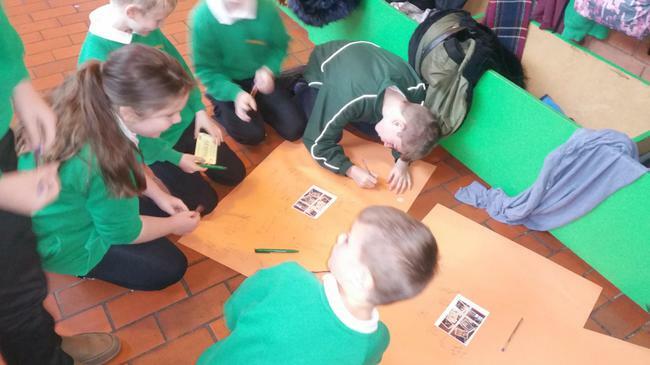 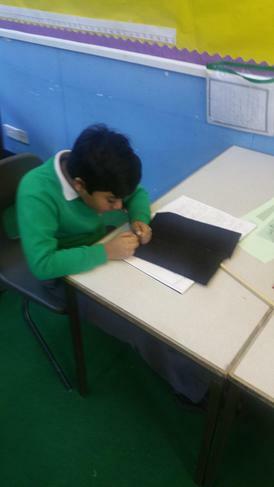 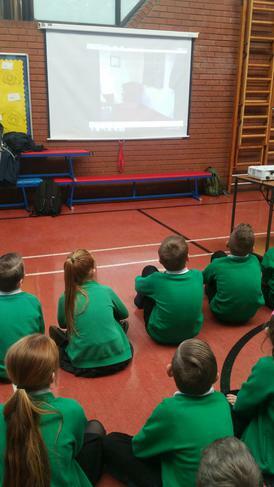 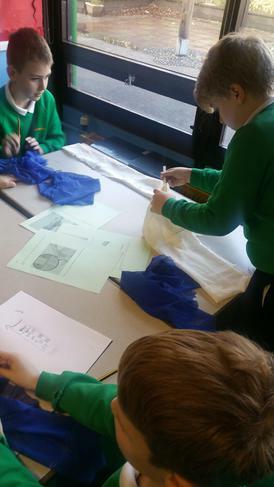 We have begun to learn about our historical figure for this half term – Nelson Mandela. 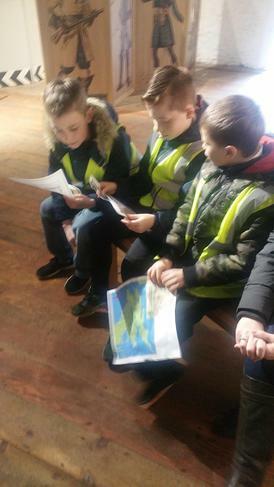 We started by asking ourselves what we already knew about South Africa and relating it back to our previous Year 4 topic of Rosa Parks. 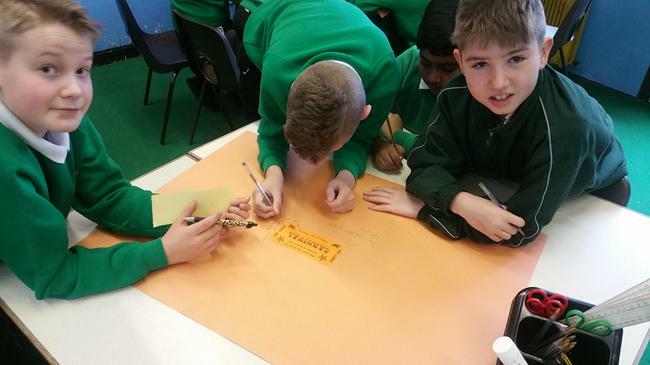 We investigated the links between common South African themes and how they might be joined together. 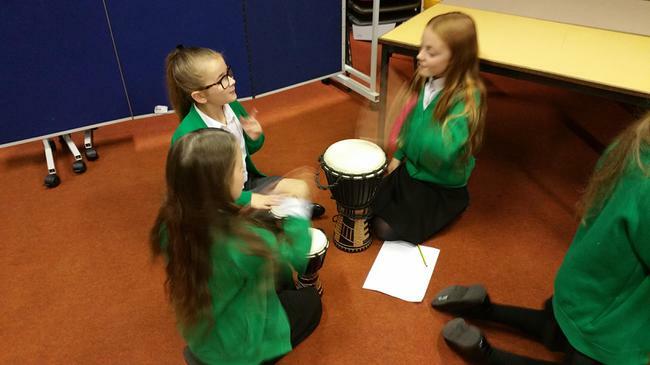 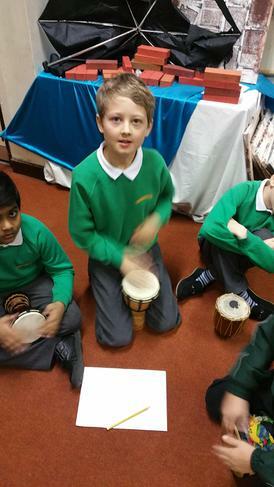 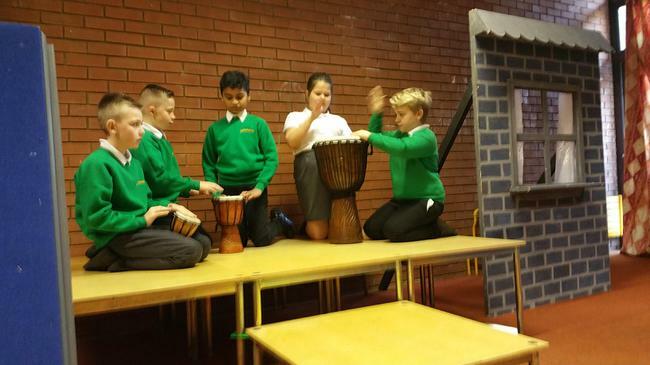 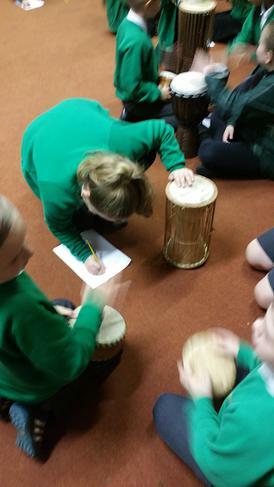 After this, we learned about African drumming and how it plays a part in communicating messages. 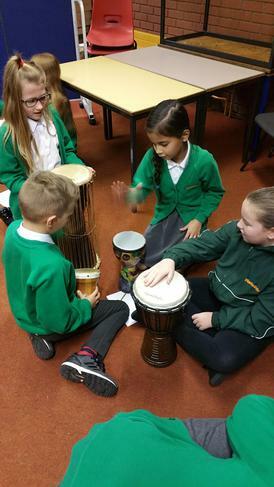 We learned that there are 3 different tones – the tone, the slap and the bass. 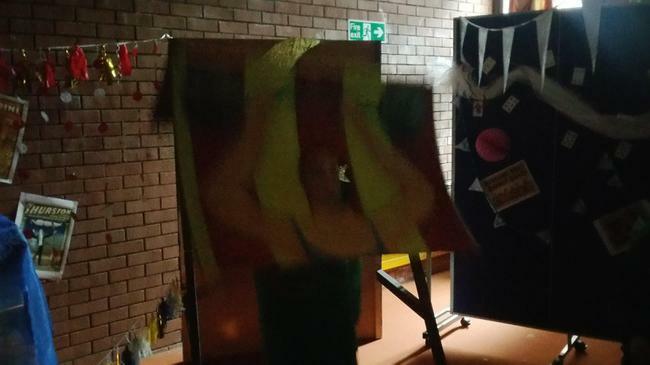 If you put these together in different ways and with different rhythms you can send different types of messages - the louder the better. 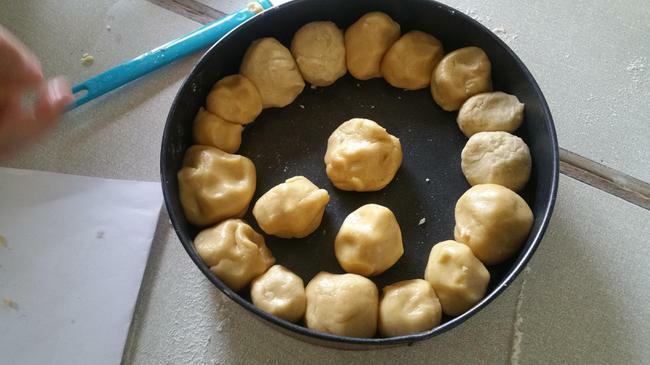 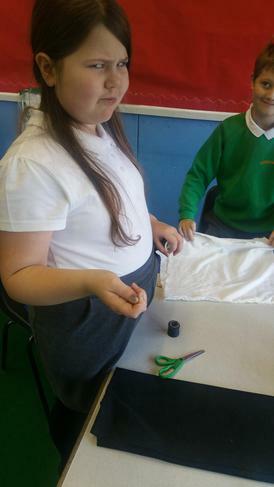 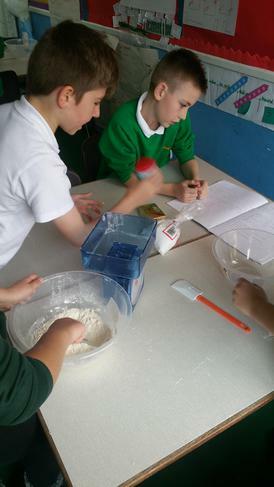 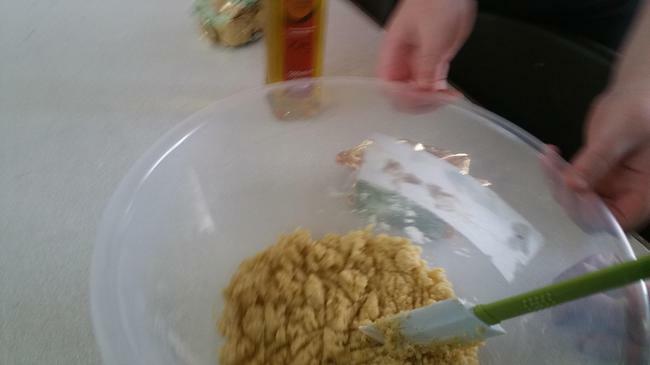 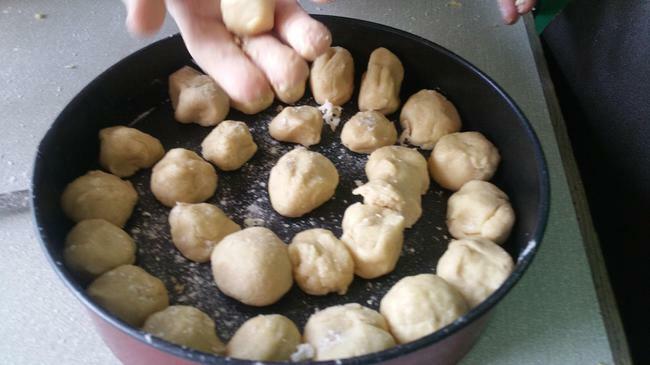 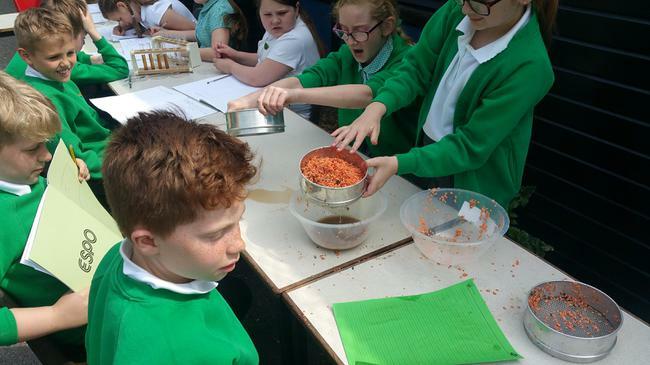 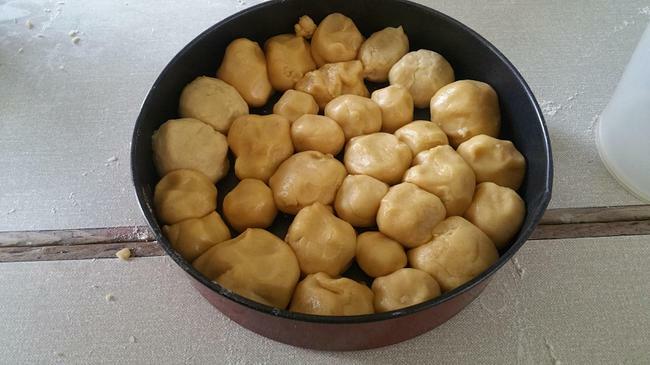 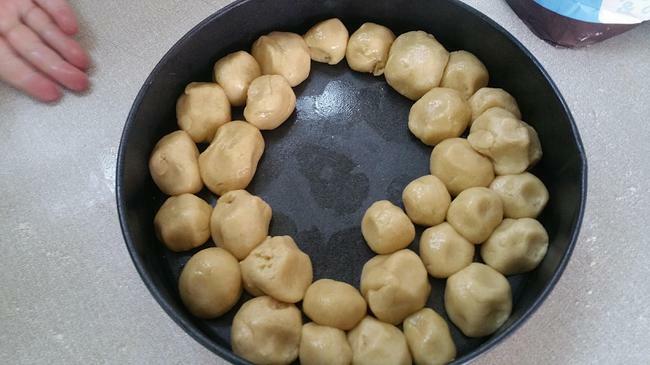 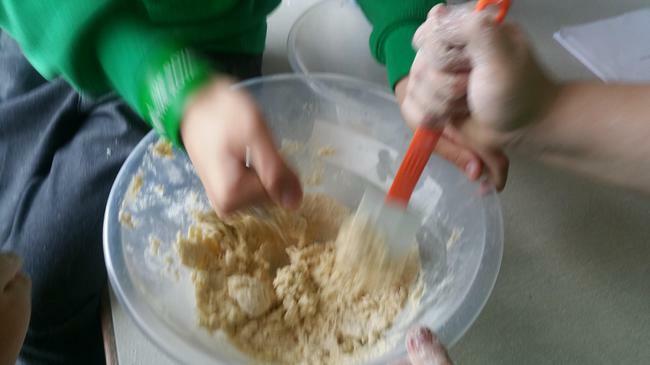 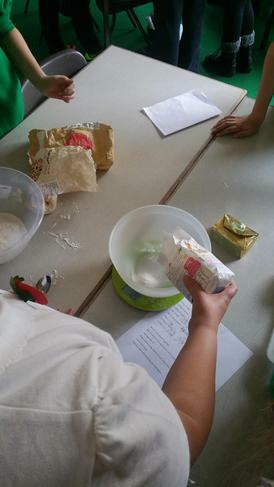 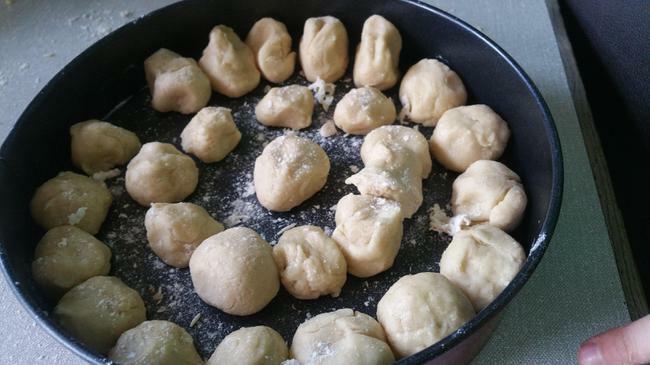 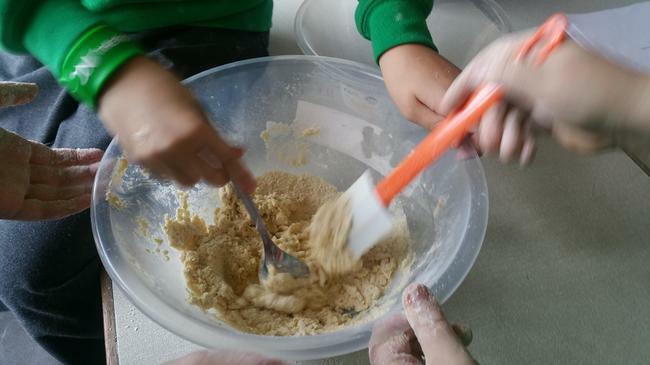 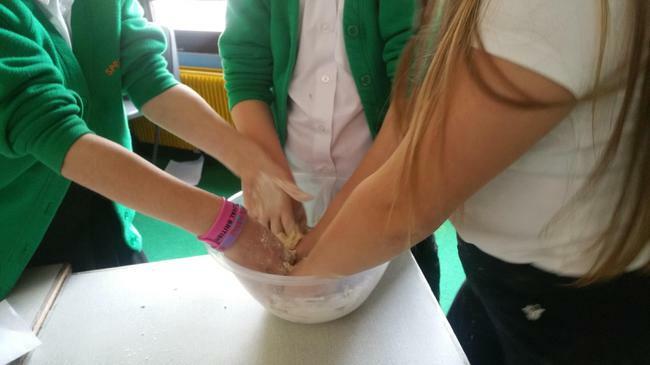 Later on, we used our converting skills to measure ingredients for our South African biscuits – they were very tasty!